L – Art for Art's Sake! 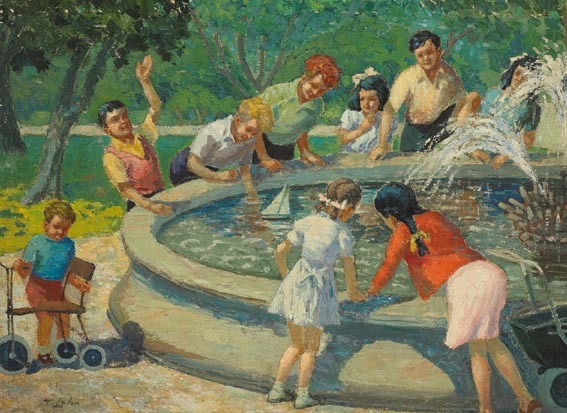 “Children in St.Stephen’s Green, Dublin” oil on panel (16″ x 22″), sold at Whyte’s – 12/6/2005 for €2,600. “Skipping” oil on board (8″ x 10″), unsold at Morgan O’Driscoll’s – 26/6/2017. 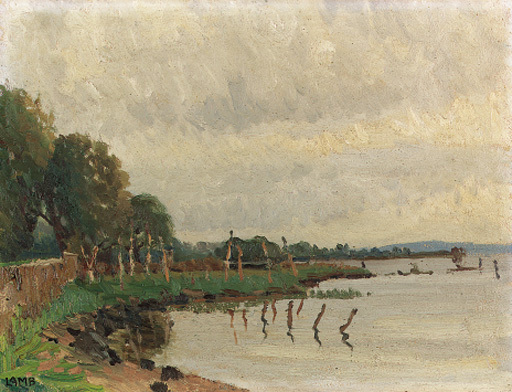 “Lough Neagh at Derrytrasna, Co. Armagh” oil on board. 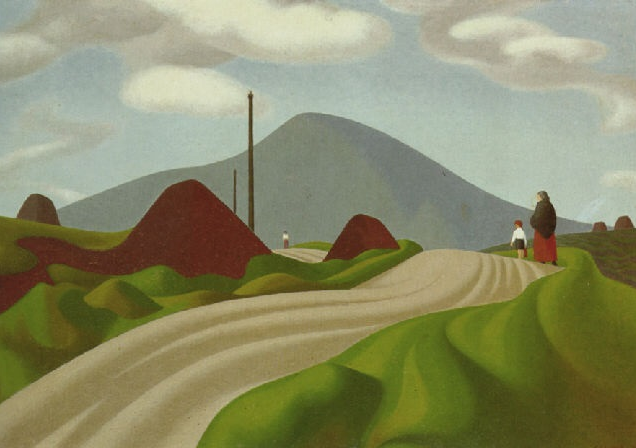 Sold at Christies, London – 19/5/2000 for £2,820.00. “The Twelve Pins” oil on board (12″ x 15″), unsold at Adam’s – 28/9/2016. 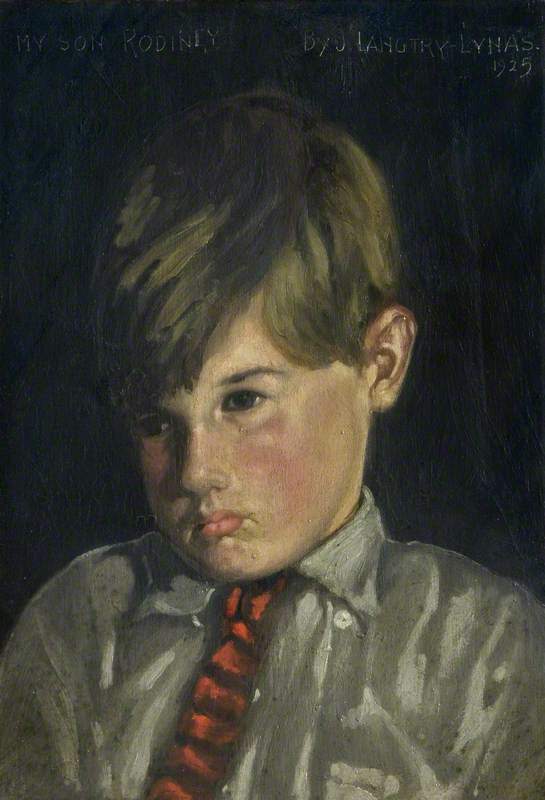 Son of artist Charles Lamb aka P. Luain. Better known as an actor of screen and stage rather than as an artist. “Huband bridge looking towards the Peppercanister Church, Dublin” and “Coastal scene near Carraroe” both oil on board (13″ x 16″), sold at Ringwood Auctions, Hampshire – 7/4/2018 for just £30. Left to right: “Farm, Old Town, Bellaghy“, watercolour drawing (11″ x 8”); “St.Patrick’s, Glenarm“, watercolour drawing (11″ x 8”) – both unsold at Ross’s on the 29/3/2017. “Riders of the Sky” watercolour drawing (9″ x 13″), sold at Ross’s – 13/8/2015 for £15.00. 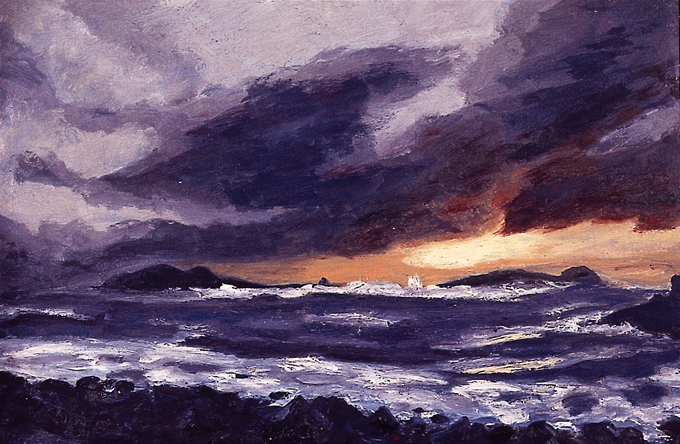 “Blaskets at Evening” oil on canvas (24.5″ x 36″), sold at Whyte’s – 26/6/2000 for €381.00. Northern Ireland born botanical artist. 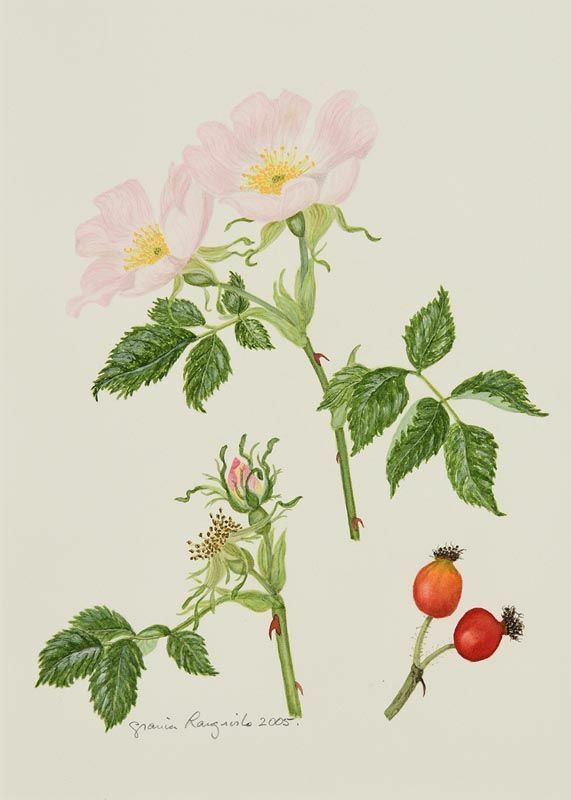 “Rosehip” 2005, watercolour (9.5″ x 7″), sold at Morgan O’Driscoll’s – 28/5/2018 for €140.00. 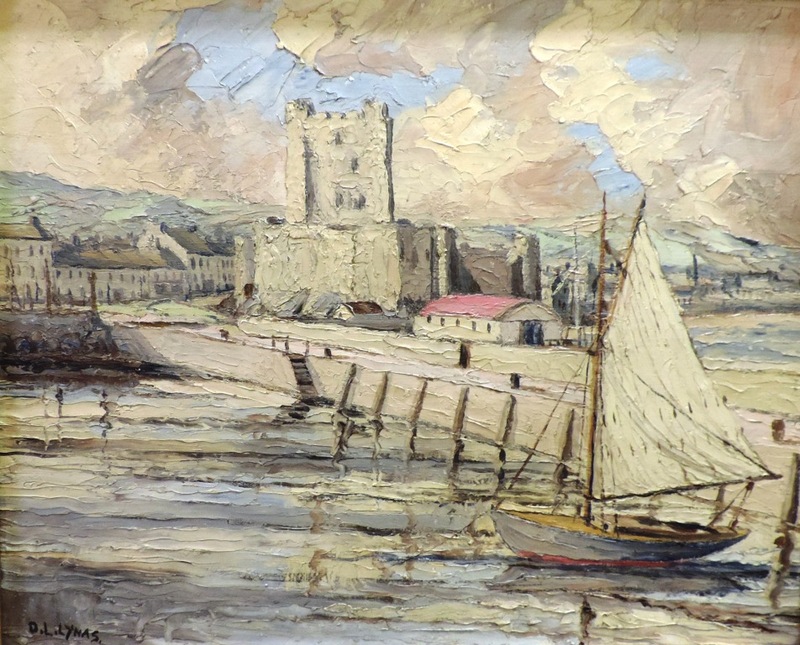 “Carrickfergus Castle, with village and harbour” oil on board (14″ x 17″), sold at Fonsie Mealy’s 8/3/2017 for €140.00. 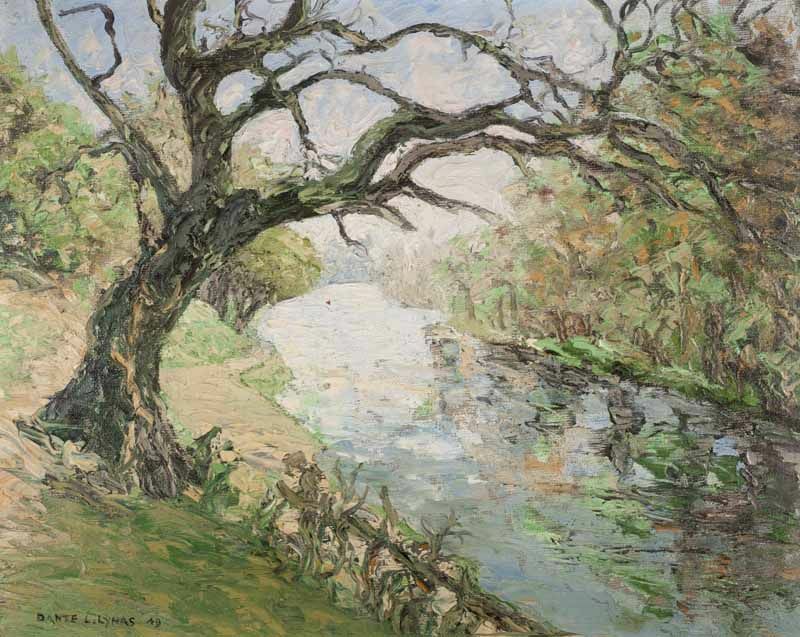 Left to right: “River & Overhanging Tree” oil on board (16″ x 20″), sold at Ross’s – 10/4/2013 for £50; and “Shaw’s Bridge at Minnowburn” oil on board (14″ x 16″), sold at Ross’s – 7/5/2014 for £20. “My Son Rodin” dated 1925 – © National Museums Northern Ireland. 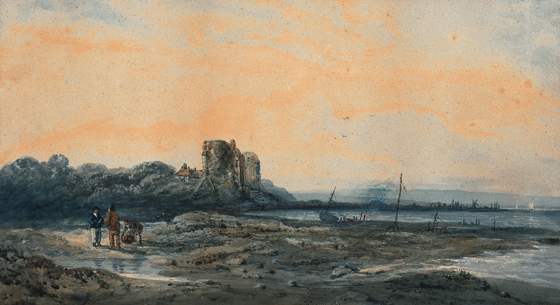 “Black Rock Castle, Dublin Bay” dated 1801, pencil and watercolour (11.5″ x 20.5″). 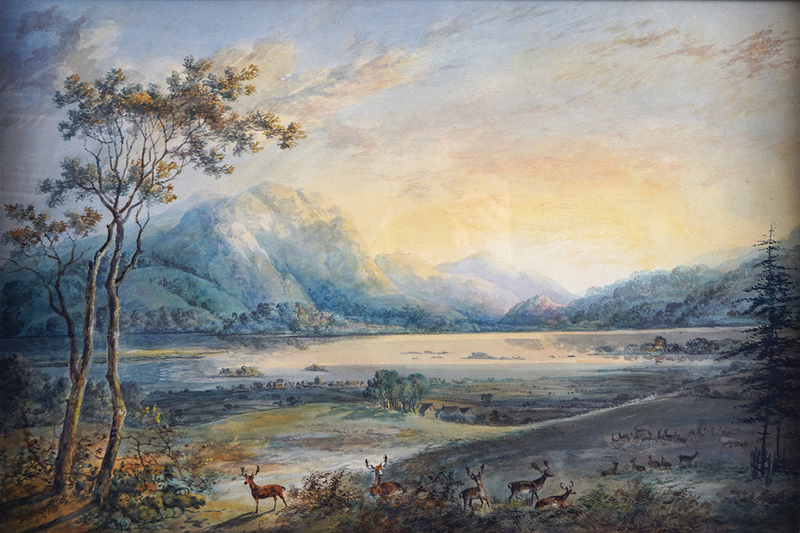 “The Lower Lake, Killarney, from Lord Kenmare’s Deer Park, 1831” watercolour (20″ x 27″). 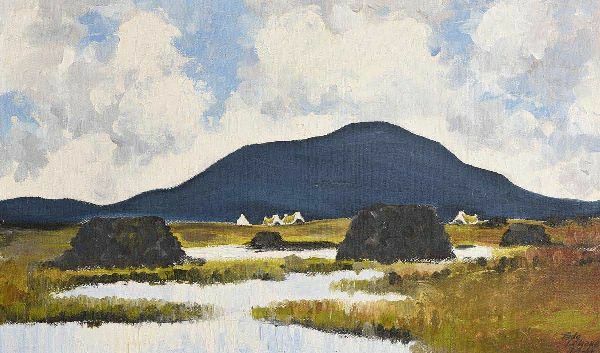 “Donegal Scene” oil on canvas (16″ x 20″), sold at Fonsie Mealy’s – 10/7/2018 for €60.00. 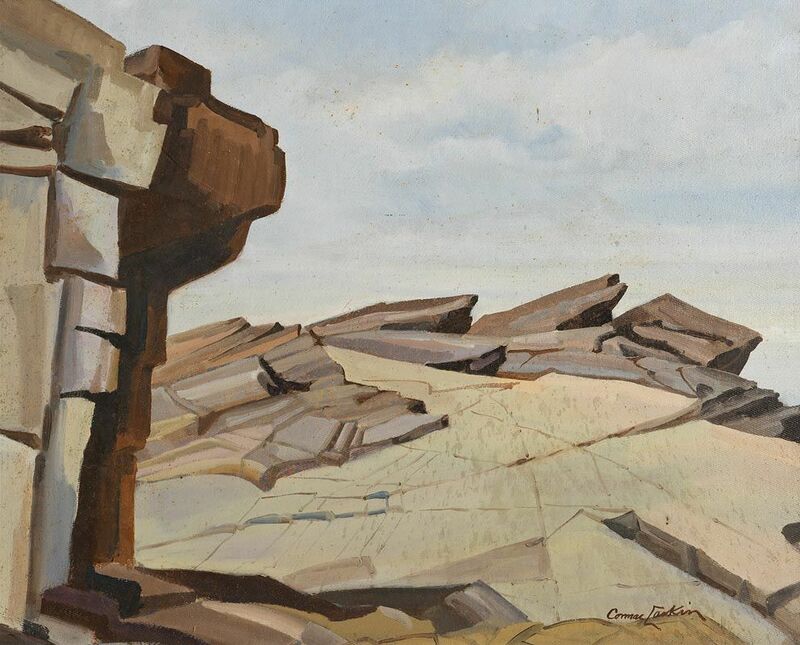 “Rock Formations” oil on board (16″ x 20″), sold at Morgan O’Driscoll’s – 28/5/2018 for €140.00. “Sunset After Rain, Phoenix Park, Dublin” oil on board (7.5″ x 9.5″). “Shelter on the Bann” oil on canvas (24″ x 24″), unsold at Ross’s – 21/3/2018. 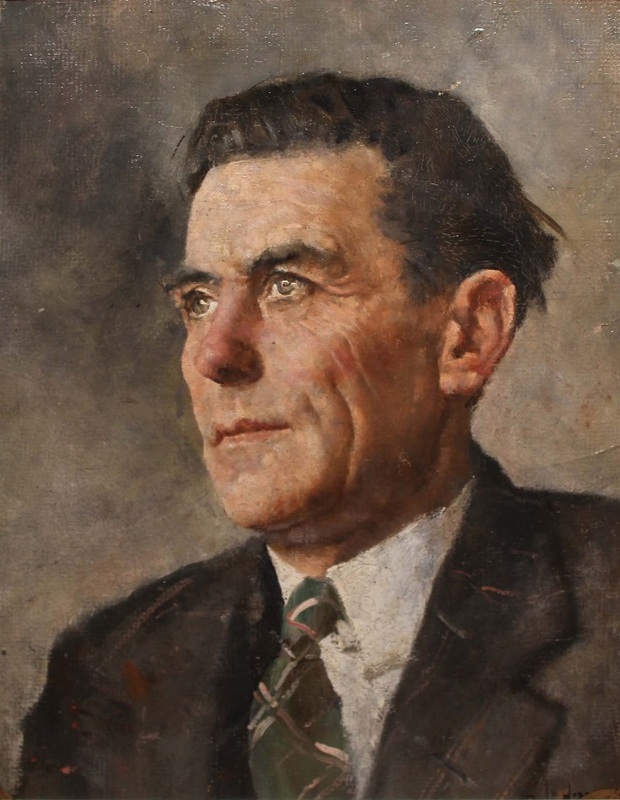 A portrait painter, James Latham was born in Thurles, County Tipperary. 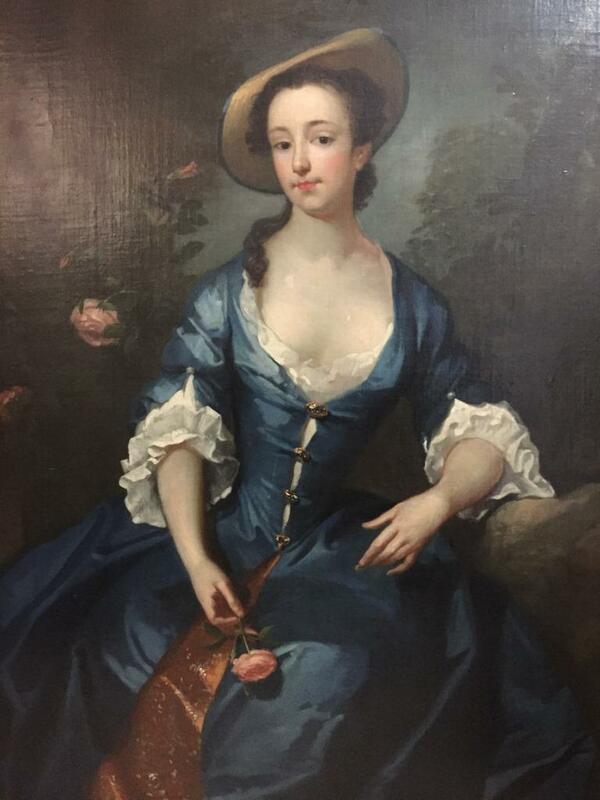 Portrait of Unknown Lady, oil on canvas (50″ x 39″), sold for £8,500 at Swan Fine Art Auctions, Tetsworth, Oxfordshire on 2/11/2017. Portrait of a young man – on sale eBay 6/2016 with a price tag of £5,995. 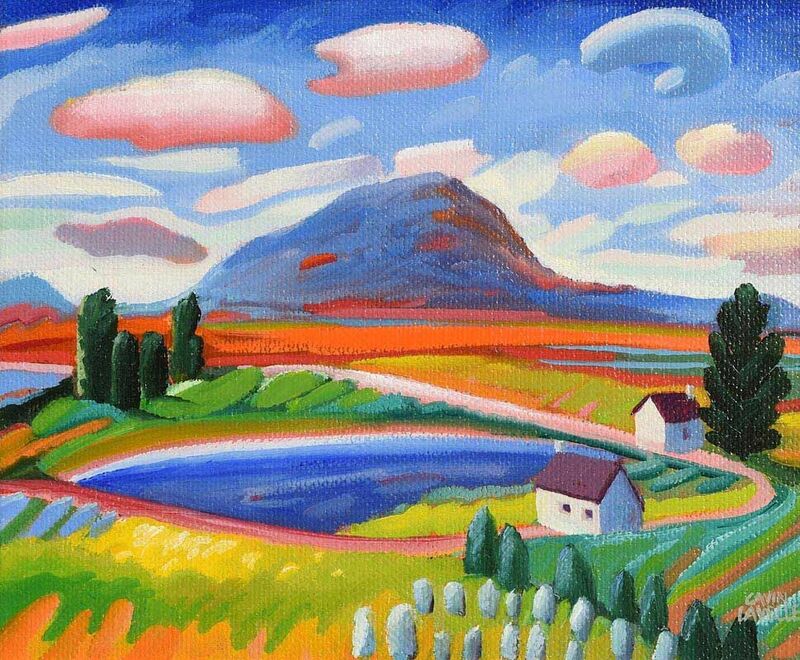 “Landscape with Cottages” acrylic on canvas (10″ x 12″), sold at Morgan O’Driscoll’s – 3/10/2016 for €120.00. 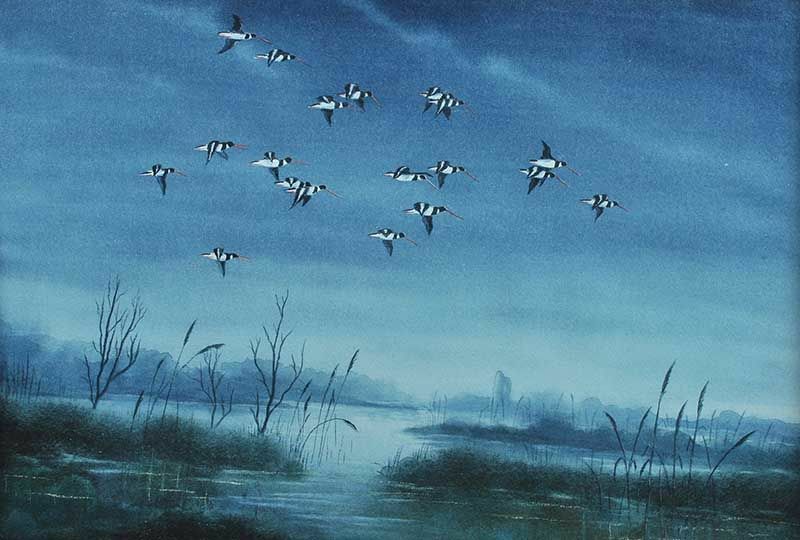 Martin Laverty is a self-taught artist from County Antrim. “Castlemaine, Co.Kerry” oil on board (21″ x 27″), sold at Dolan’s ‘Rosslare Sale‘ – 30/4/17 for €20.00. 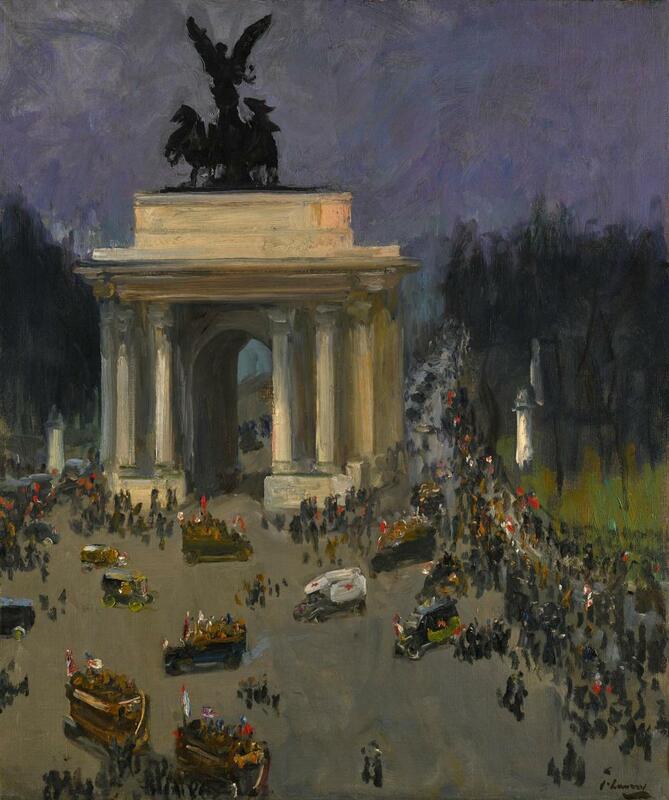 “Armistice Day, November 11th 1918, Grosvenor Place, London” oil on canvas (30″ x 25″), sold at Sotheby’s (London) – 21/11/2018 for £200,000. 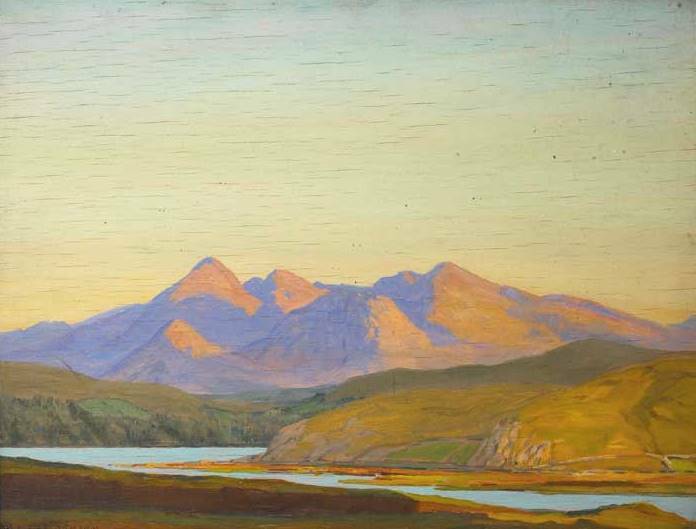 “Glendaloch” 1924, oil on canvas board (20″ x 24″), unsold at Morgan O’Driscoll’s – 12/11/2018. 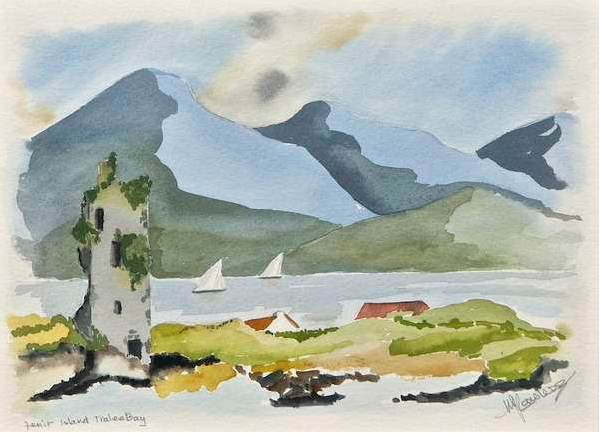 “Fenit Island, Tralee Bay” watercolour (9.5″ x 13″) sold at Adam’s – 3/9/2013 for €110.00. “Maamturk Mountains” acrylic on board (9.5″ x 13.5″), sold at Mealy’s Fine Art – 28/1/2017 for €50. 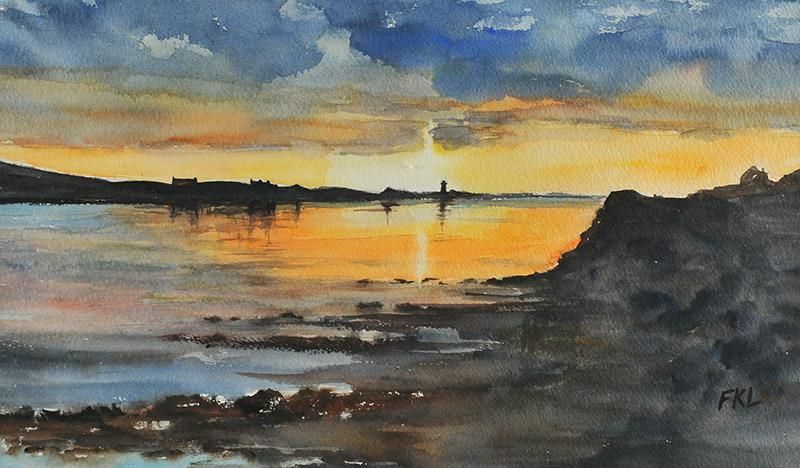 “Sunset Reflections” watercolour drawing (11″ x 19″). Unsold at Ross’s – 20/5/2015. 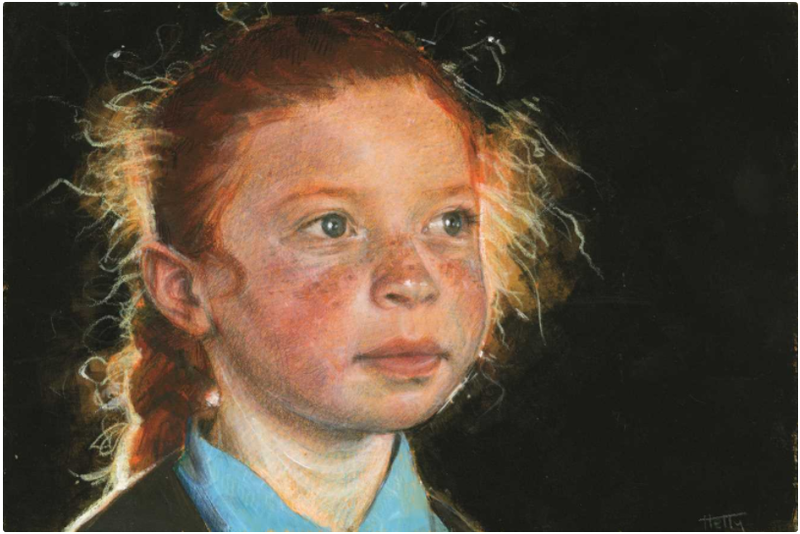 “Gráinne” – Overall Winner of the 64th Texaco Children’s Art Competition in 2018. 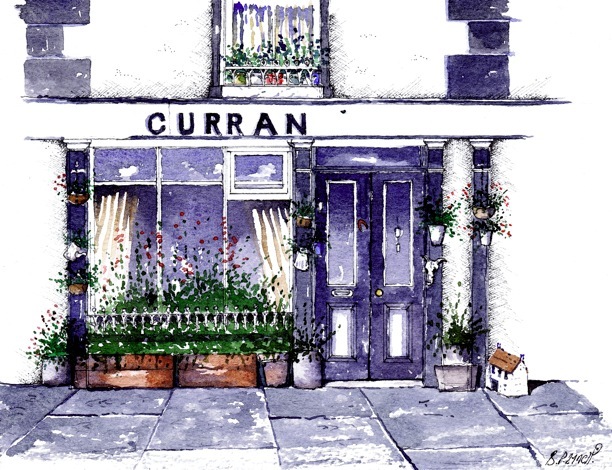 Wexford born artist now living and working in Westport, County Mayo. “15 Minutes of Fame” oil on board (12″ x 25″), sold at Morgan O’Driscoll’s (RDS) – 10/4/2017 for €2,400. Left to right: “Galway, Early Music Festival” 1999, oil on board (18″ x 19″), unsold at Whyte’s – 2/10/2017; and “The Music Lesson” oil on board (23″ x 17″), unsold at Morgan O’Driscoll’s – 5/3/2018. 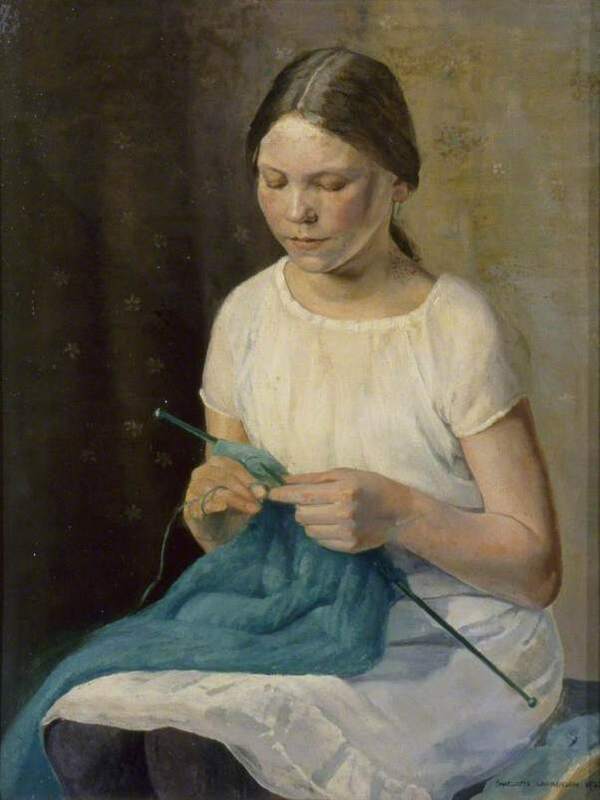 “An Irish Peasant Girl Knitting” oil on canvas (28″ x 22″). © the artist’s estate. 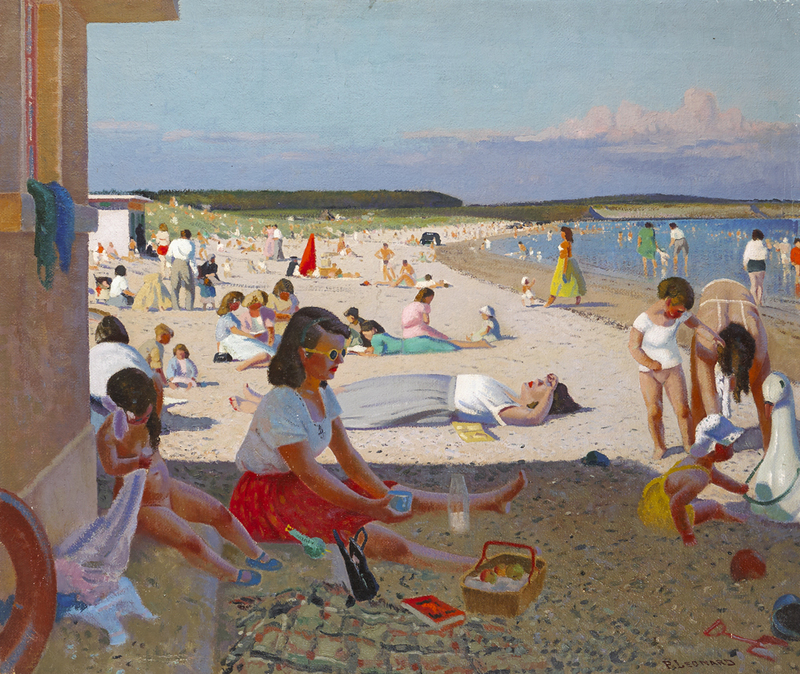 Photo credit: Brighton and Hove Museums and Art Galleries. 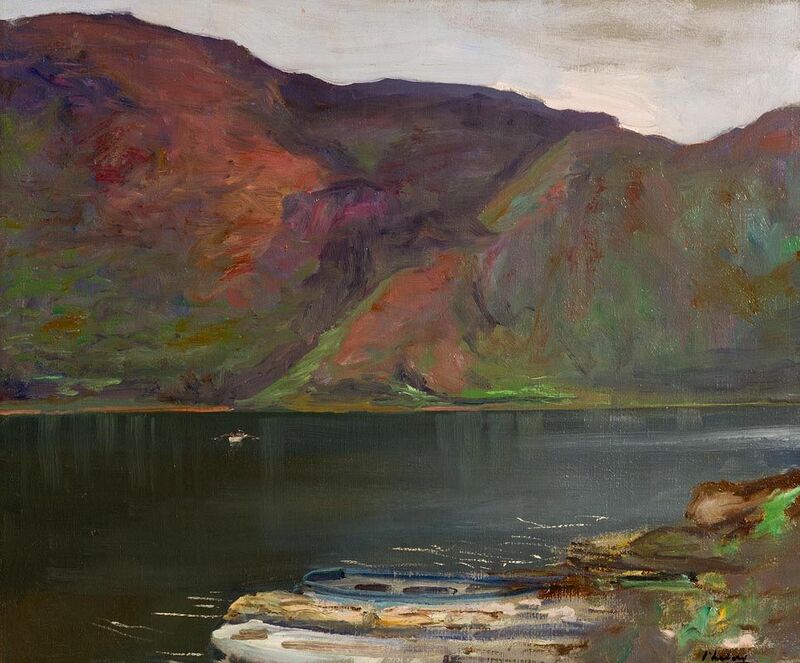 “Caragh Lake, County Kerry” oil on panel (12.5″ x 16.5″), sold at Whyte’s – 29/9/2008 for €1,800. 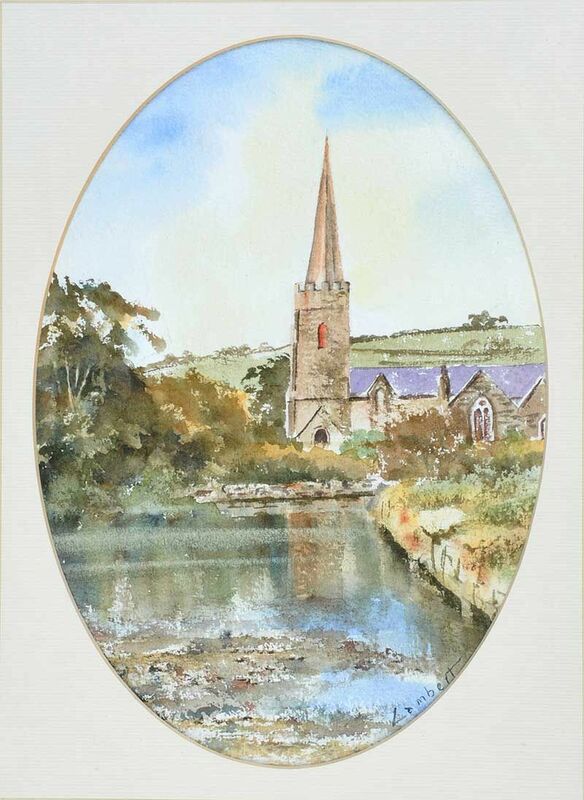 “Bank at Punchestown” © Newtownabbey Borough Council. A native of Donegal and graduate of NCAD who has lived in Westmeath since 1971. She works both in watercolours and acrylics. 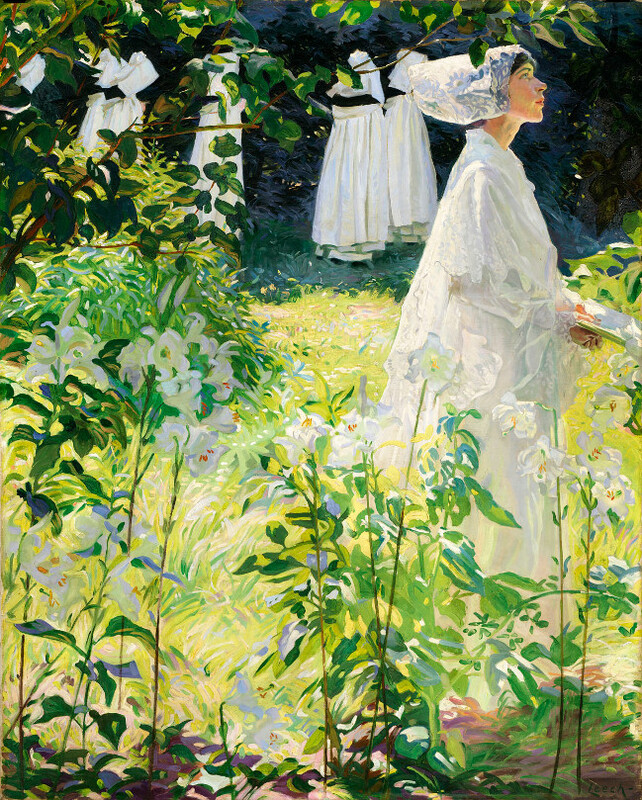 “A Convent Garden, Brittany” c.1913, oil on canvas. 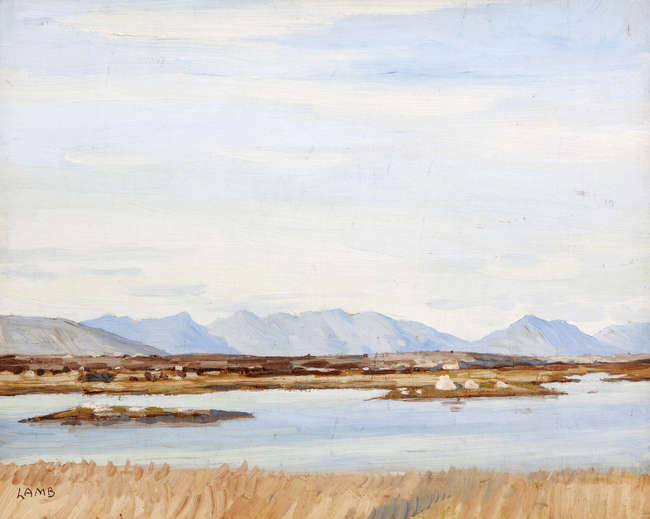 National Gallery of Ireland collection. 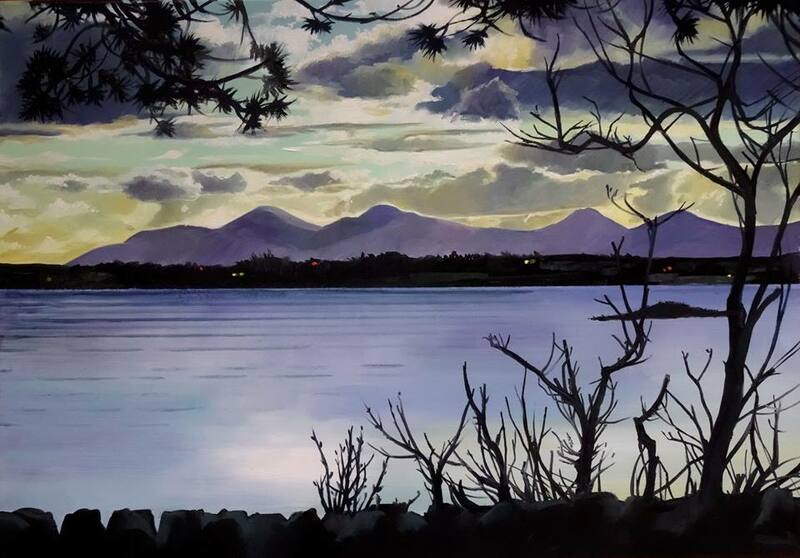 “Lough Erne” watercolour drawing (7″ x 15″). 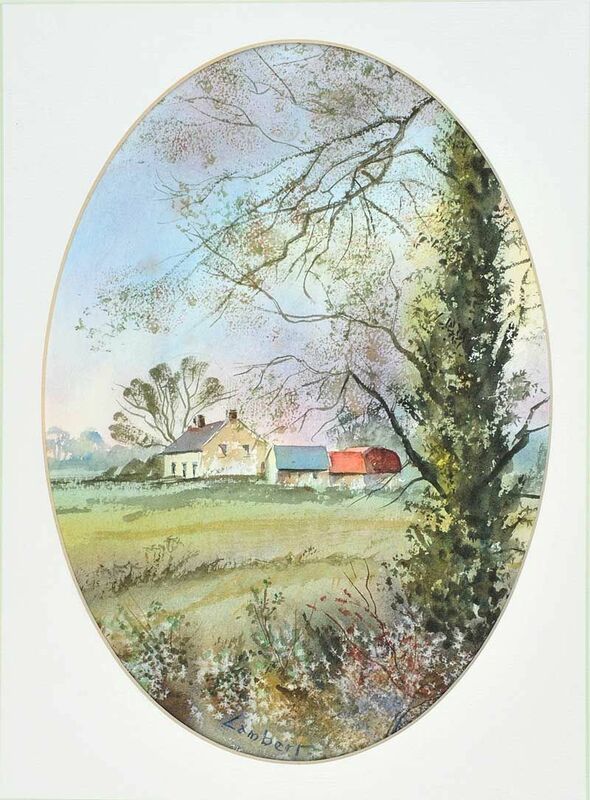 “Thatched Cottages in Landscape” watercolour (6″ x 11.5″), sold at Whyte’s – 17/12/2000 for €380.00. 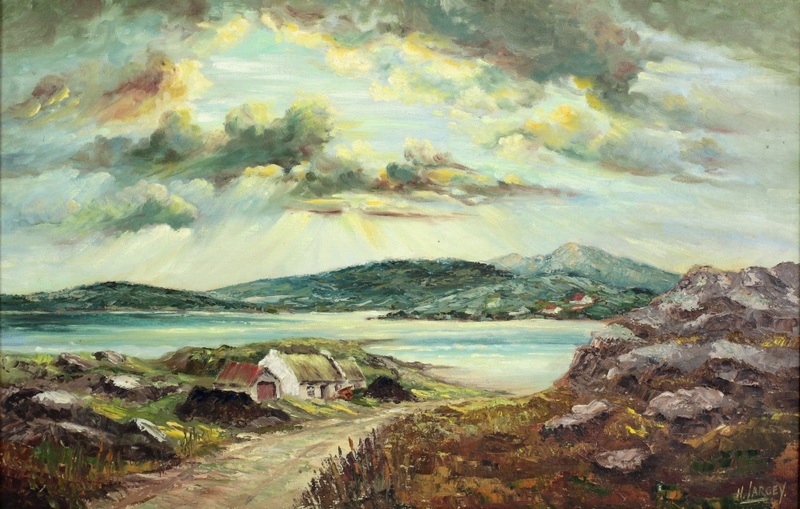 “In Donegal” oil on canvas (20″ x 30″), unsold at Ross’s – 5/9/2018. 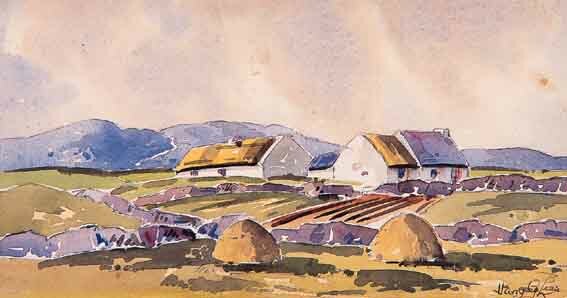 “Cottages and Peat Stacks” dated 1964, oil on canvas board (17″ x 29″), sold at Morgan O’Driscoll’s – 30/1/2017 for €320.00. 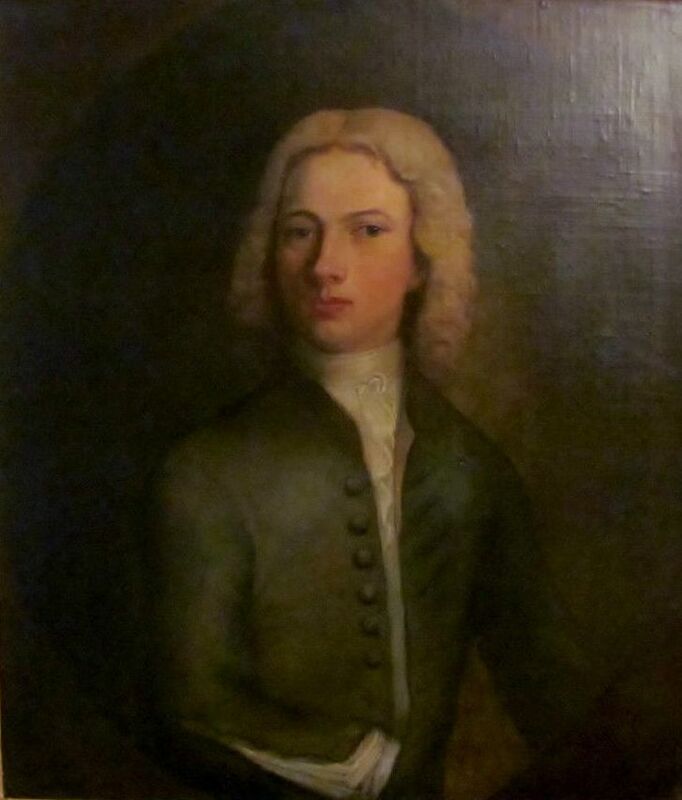 “Portrait of a Gentleman” oil on board (15.5″ x 12″), sold at de Vere’s – 18/7/2018 for €550.00. 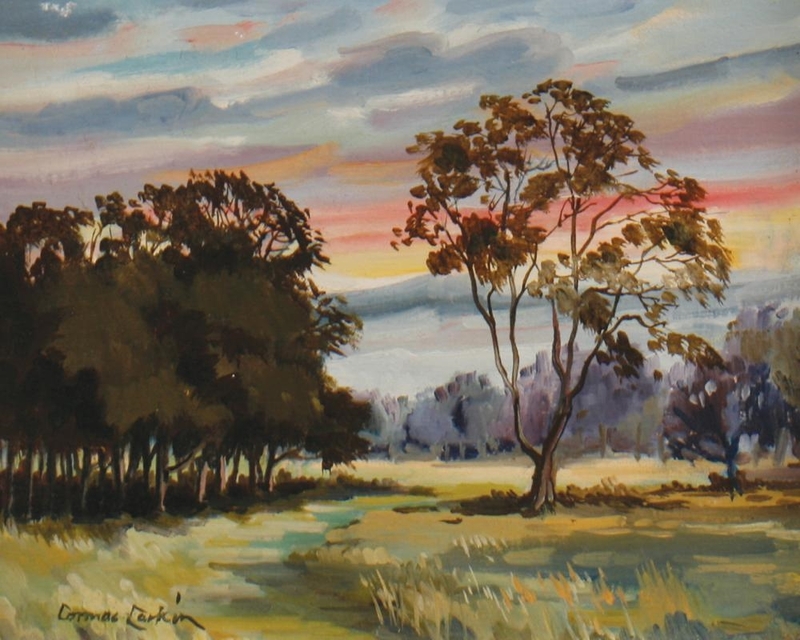 Kay Leonard is self-taught and has been a full time artist for more than 25 years. 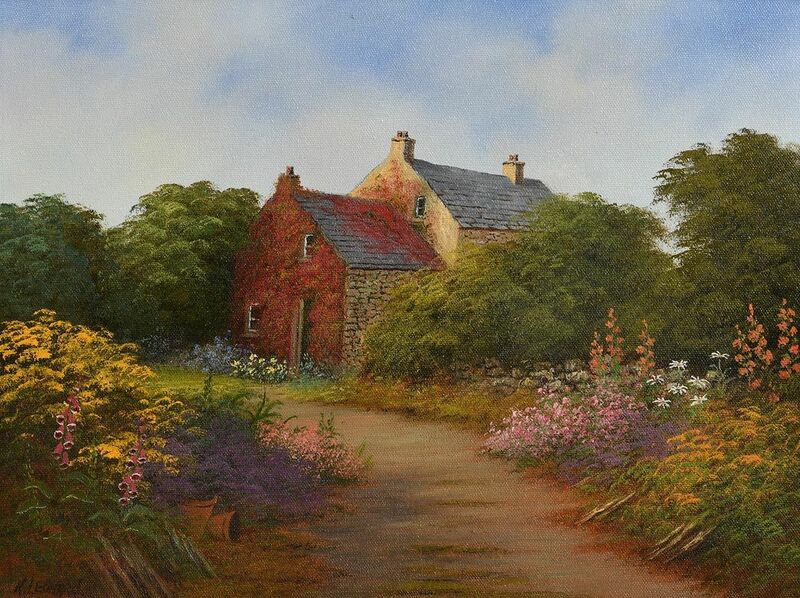 “Rustic Garden Scene” 2001, oil on canvas (12″ x 16″), sold at Morgan O’Driscoll’s – 28/1/2019 for €200.00. Pamela Leonard graduated from the National College of Art and Design in 1964. 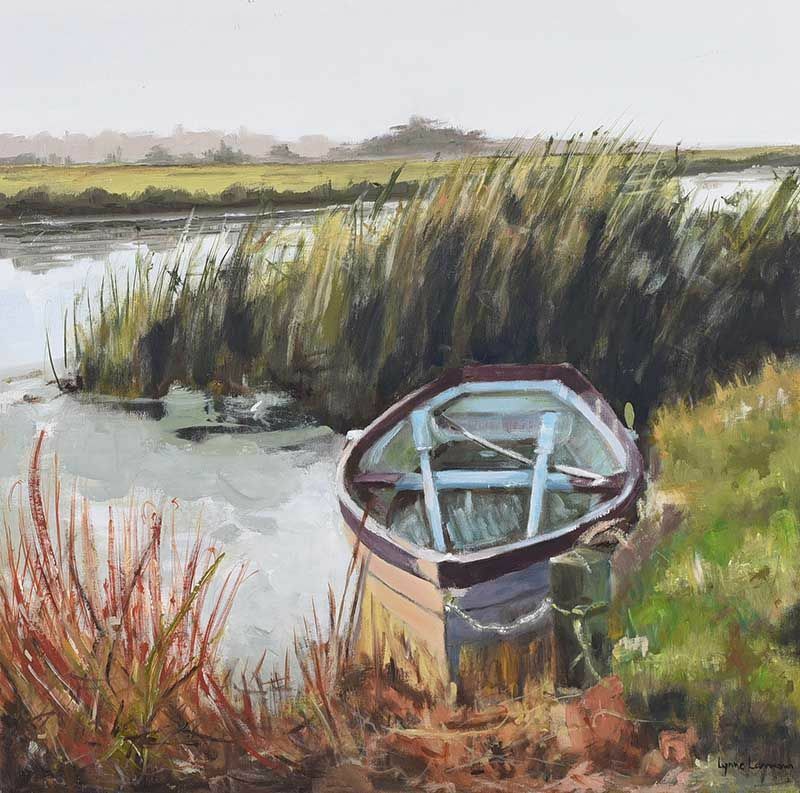 Her love of landscape has led her to create images set in areas she knows well, giving them an enduring and timeless quality. Amongst her work she has designed 16 stamps for An Post. 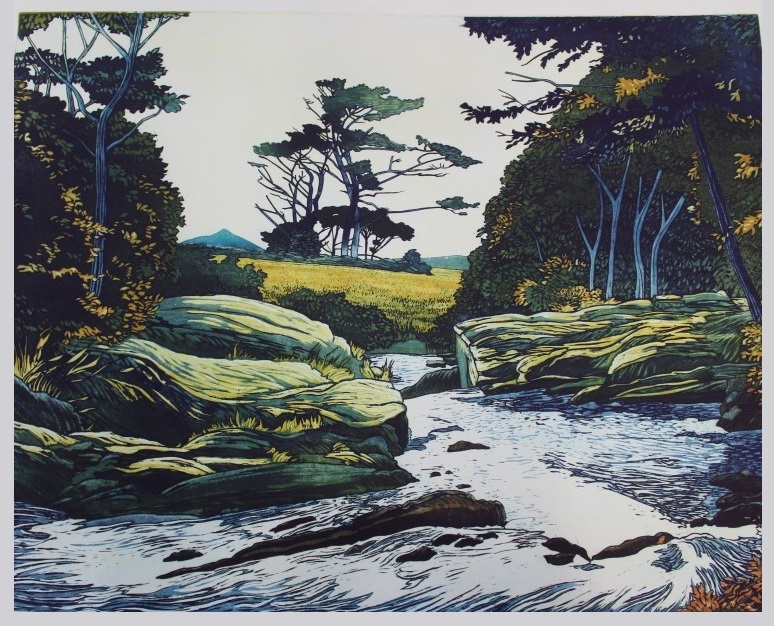 Left to right: “Winding Stream” (24″ x 30″) and “Prevailing Winds II” (20″ x 30″) – a pair of artist’s proof colour etchings which sold at Reeman Dansie, Colchester, Essex on 22/11/2017 for £180.00. “A Hot Day in Rush, Co.Dublin” oil on canvas (34″ x 40″), sold at Whyte’s – 26/9/2016 for €18,000.00. 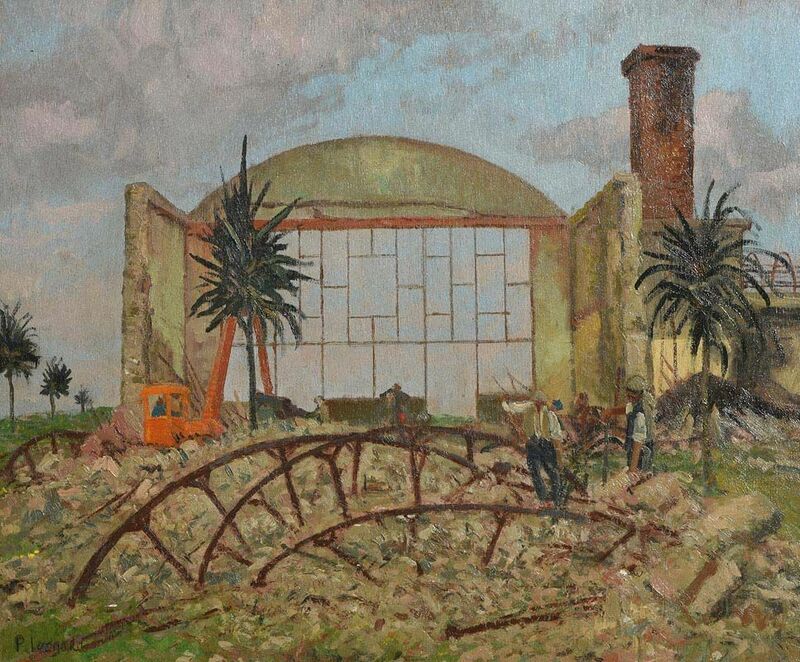 “Demolition of Red Island Holiday Camp, Skerries” dated 1980, oil on board (20″ x 24″), sold at Morgan O’Driscoll’s – 23/1/2017 for €700.00. 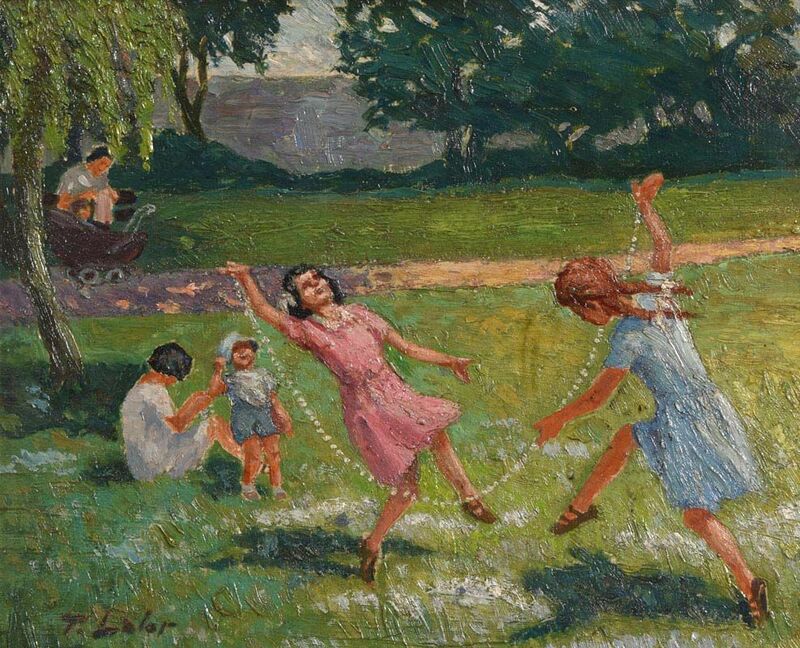 “Family Day Out” oil on canvas (15.5″ x 20.5″). 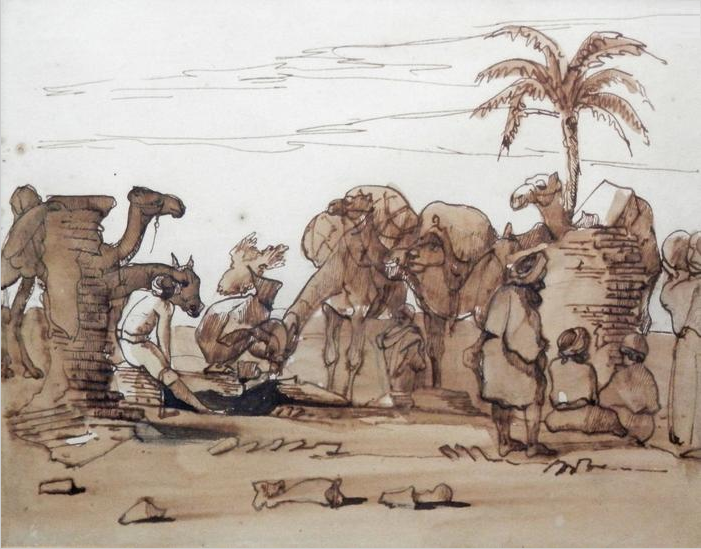 “Camels and figures at rest” pen, ink and wash (6″ x 8″) from a sketchbook with 16 others; sold at Rosebery’s (London) – 19/1/2013 for £300.00. Sir John Leslie of Glaslough Castle, Co.Monaghan, was an Irish diplomat, explorer and soldier; these pages purportedly came from his sketchbook during a trip to Egypt and the Nile. 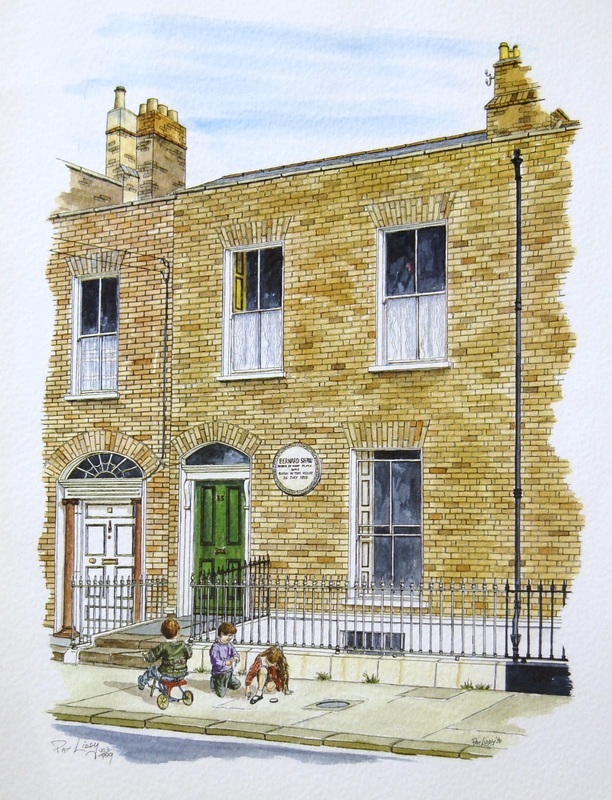 Attended the Metropolitan School of Art in Dublin for six years between 1905 and 1913. She married her cousin Richard Lett and seems to not to have been active until her later life when she lived in North Wales. Dan Leydon is a freelance illustrator who lives and works in Sligo. 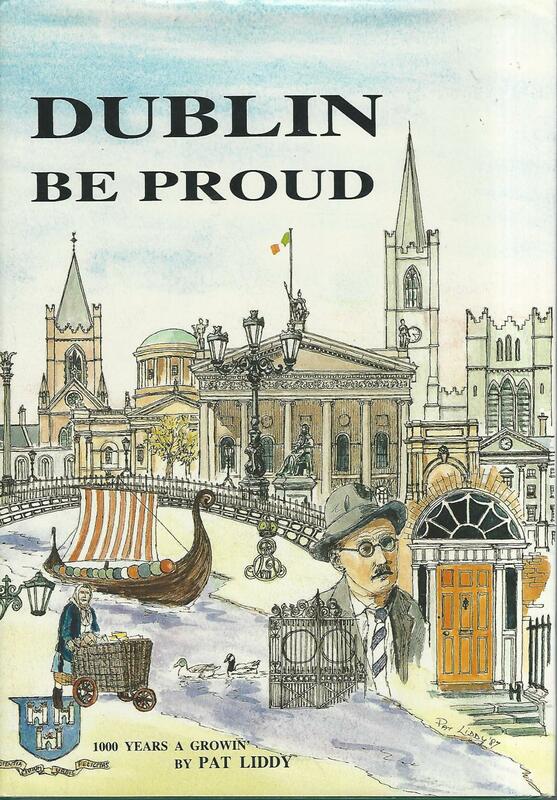 Some of the artist’s finest work is to be found in his many books including “Dublin be Proud” (1987) – one of my most treasured possessions signed and inscribed for me by the author in 2005. Copies are still available online and they are ideal for dismembering/framing – if you’re a philistine! 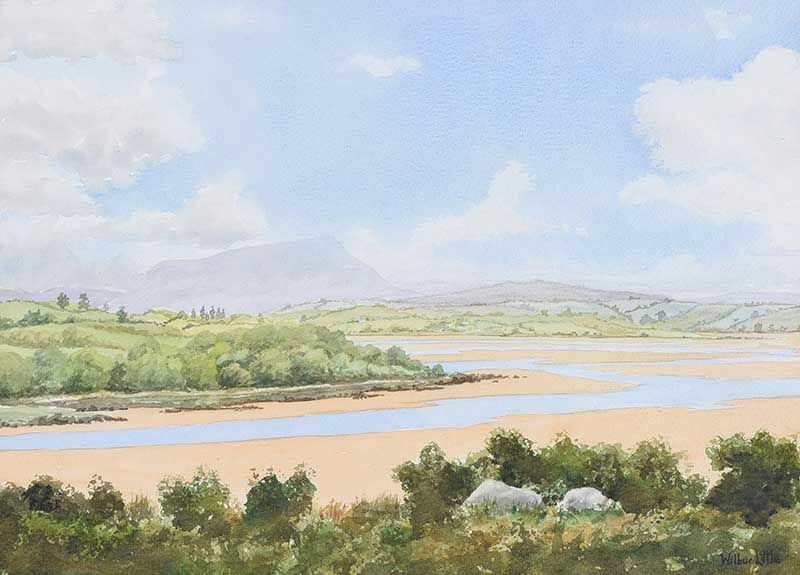 “Lackagh Estuary” watercolour drawing (10″ x 14″), sold at Ross’s – 13/2/2019 for €20.00. 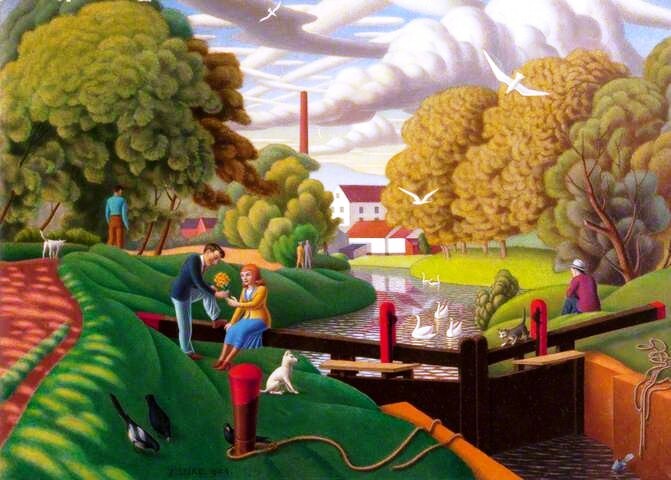 Primarily self-taught he worked as a ‘commercial artist’ for most of his working life. I think he started as a ‘junior artist’ in the publicity department of the Ulster Transport Authority. 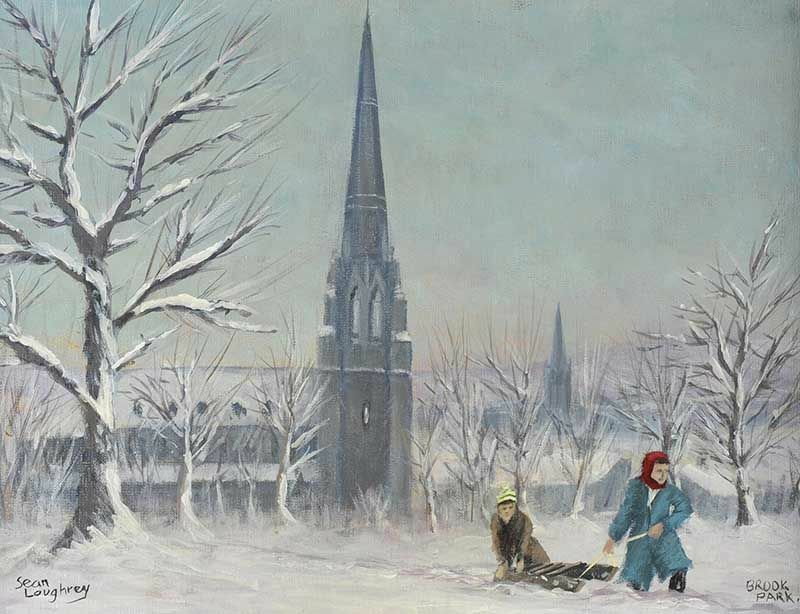 He then worked as a commercial artist with W.G.Baird, a Belfast printing company. After Baird’s, he went through a period of running his own small art studio in Snugville Street, Belfast. 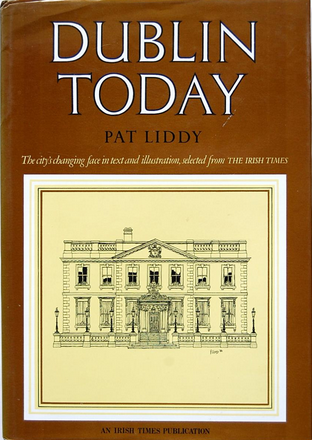 He finished his career as an artist/designer with the Belfast Telegraph. 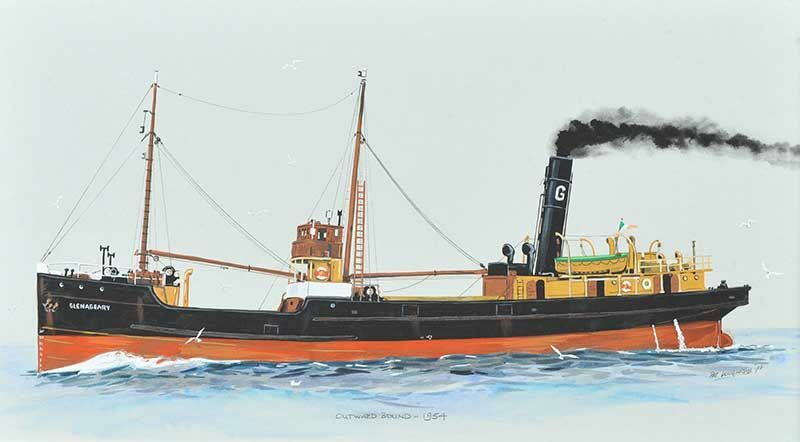 Very much an all-rounder he applied his art skills to a wide range of projects (From a mural for the Kantara Hotel in Portrush to small press advertisements, trademarks and stationery designs). An outstanding calligrapher and lettering artist he did many illuminated addresses for a wide range of VIPs visiting Belfast (including Royalty and Winston Churchill). He also spent many years lettering the title pages of memorial and pulpit Bibles. 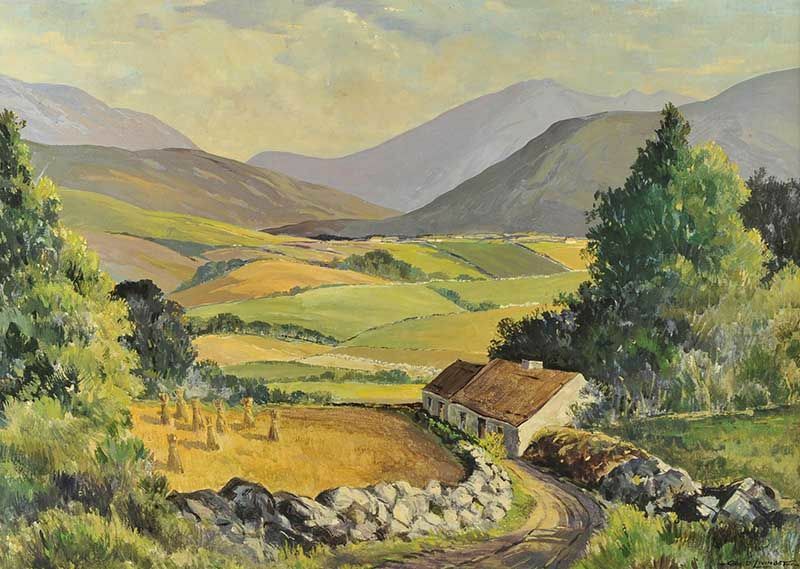 Primarily a landscape painter he exhibited for many years in the Royal Ulster Academy. A keen cyclist he was an active member of an artists’ cycling club that went sketching at the weekends (The River Lagan was a favoured location). 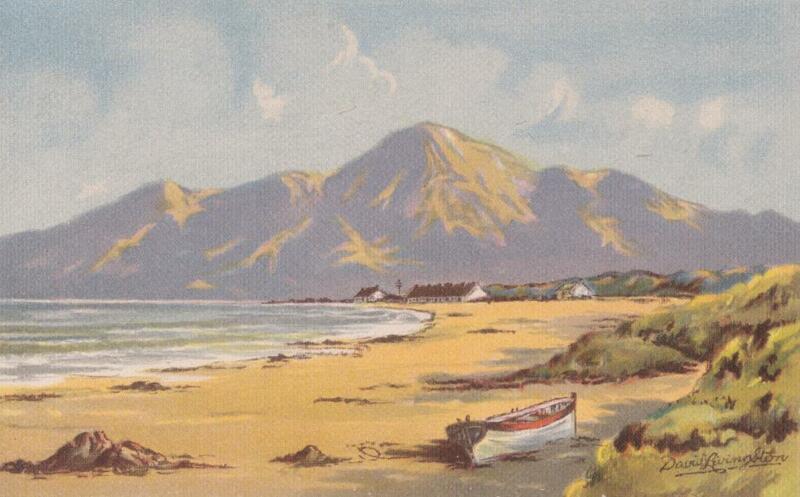 Over the summer they went further afield (The Mournes and Donegal). Costs were kept to a minimum by utilising the extensive network of youth hostels. I am indebted to the artist’s son, Alan Livingston, for the above information. “Lough Doon from Creeslough” watercolour (10.5″ x 14.75″). “The Cornfield” oil on board (27″ x 38″), sold at Ross’s – 8/8/2018 for £120.00. 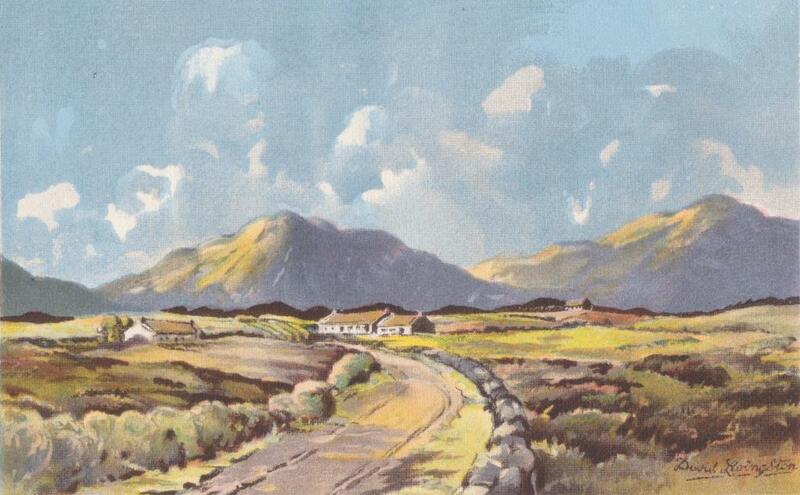 Left to right: “The Mourne Mountains” No.7015 and “The Road to the Mountains” No.7016 – two from a series of art postcards published by Scholastic Productions (Belfast) during the 1940s. Lurgan born artist now living and working in the south of France. 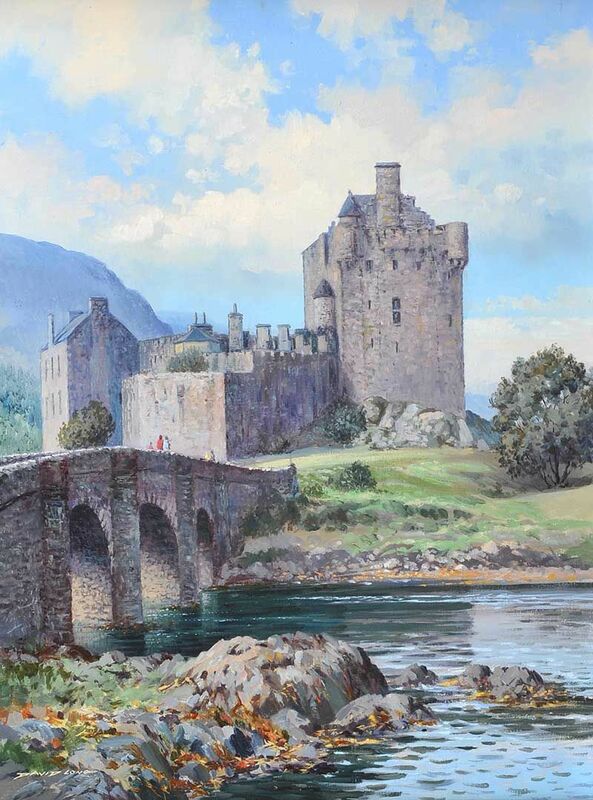 Born in Belfast, David began his art career as an apprentice damask designer. 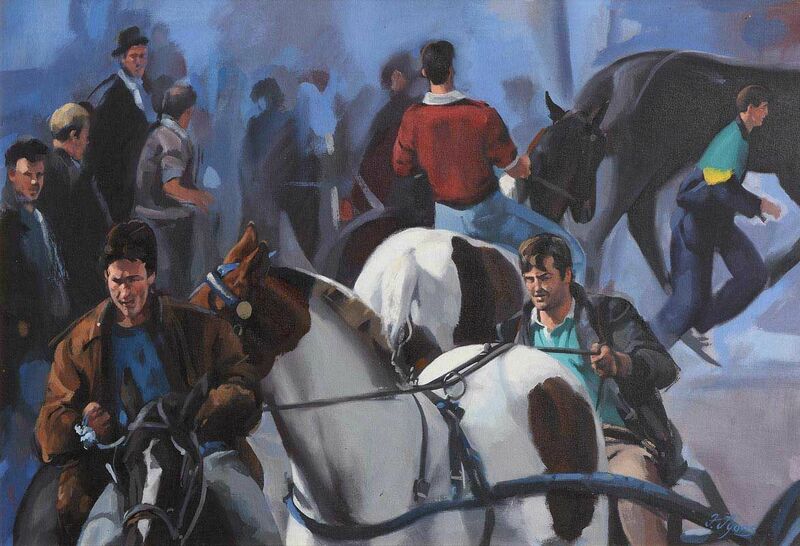 He subsequently studied part-time at Belfast College of Art and became a professional painter in 1967. 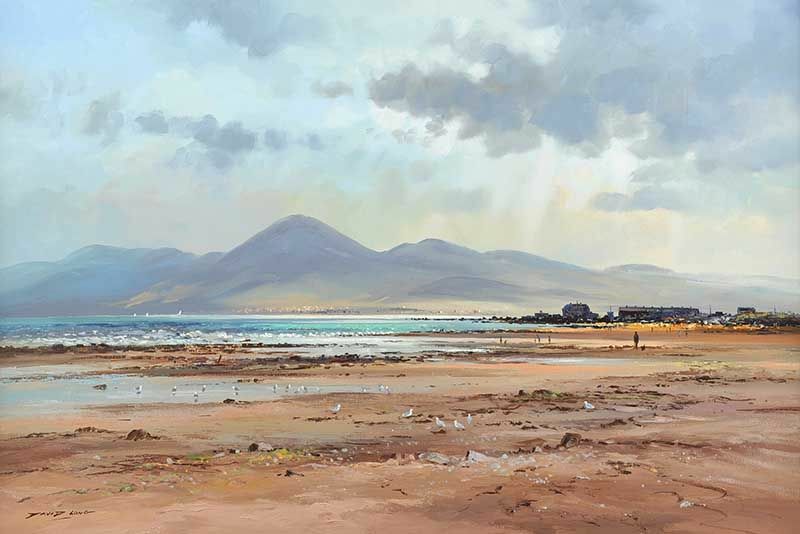 “The Mournes from Tyrella Beach” oil on canvas (20″ x 30″), sold at Ross’s – 3/5/2017 for £650.00. “Ballygally Castle, County Antrim” watercolour (24″ x 18″), unsold at Ross’s – 31/5/2017. “Glenveagh, Donegal” watercolour drawing (11″ x 15″), sold at Ross’s – 7/9/2016 for £70.00. 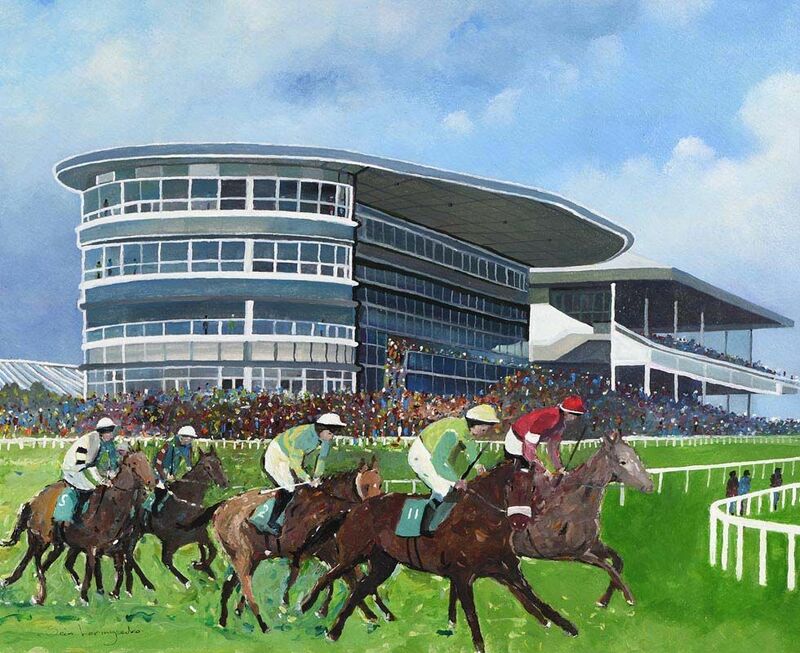 “Galway Race Stadium” dated June 2017, watercolour (15″ x 18″), sold at Morgan O’Driscoll’s – 14/8/2017 for €60.00. “Old House & Church at Ballintoy, Co.Antrim” watercolour drawing (8.5″ x 20.5″), sold at Ross’s – 5/12/2018 for £70. 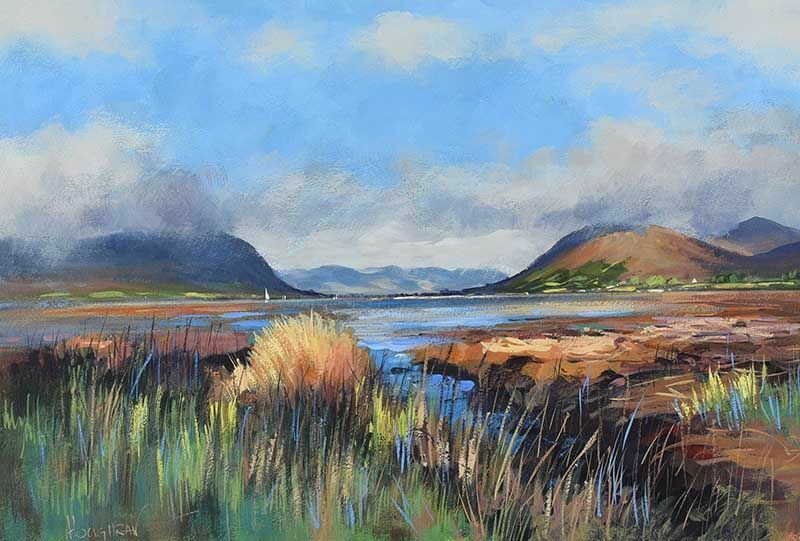 “Across Carlingford Lough” acrylic on board (13″ x 20″), unsold at Ross’s – 9/8/2017. 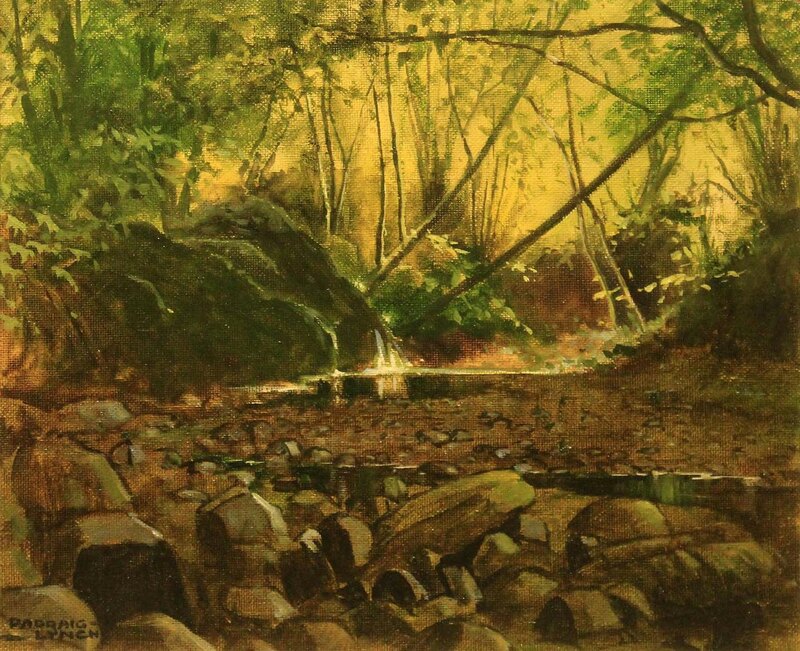 “The Glenageary” (8″ x 15″) watercolour drawing. 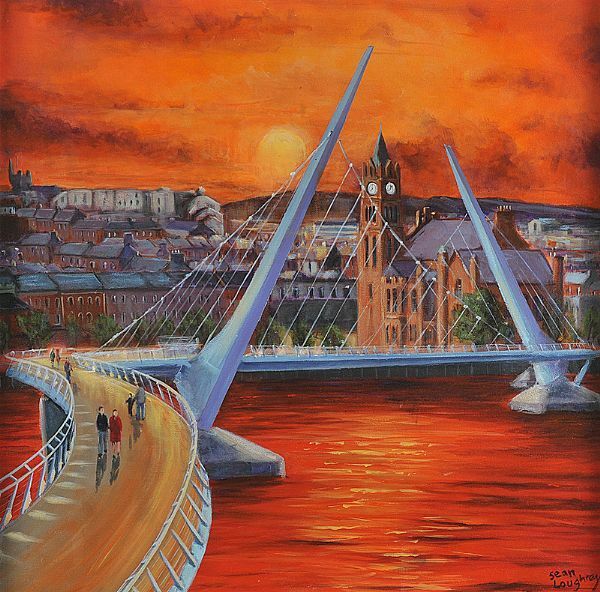 “Peace Bridge at Sunset” oil on canvas (24″ x 24″ sold at Ross’s – 4/12/2014 for £180.00. “Winter, Brook Park, Derry” oil on board (12″ x 16″), unsold at Ross’s – 1/2/2017. 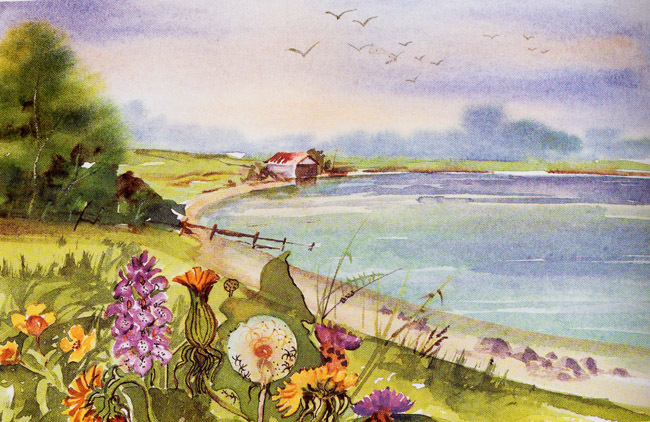 “Coastal Landscape” mixed media (16″ x 23″). 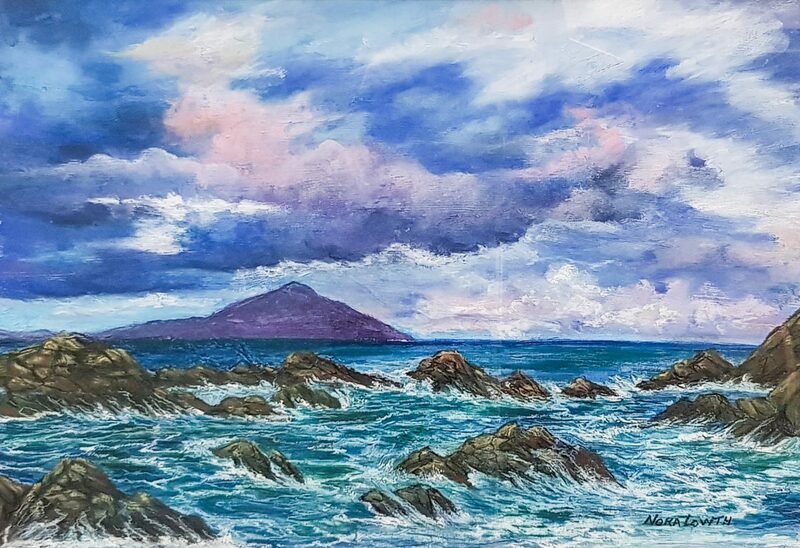 “West of Ireland Coastal Seascape” mixed media pastel (16″ x 23″). 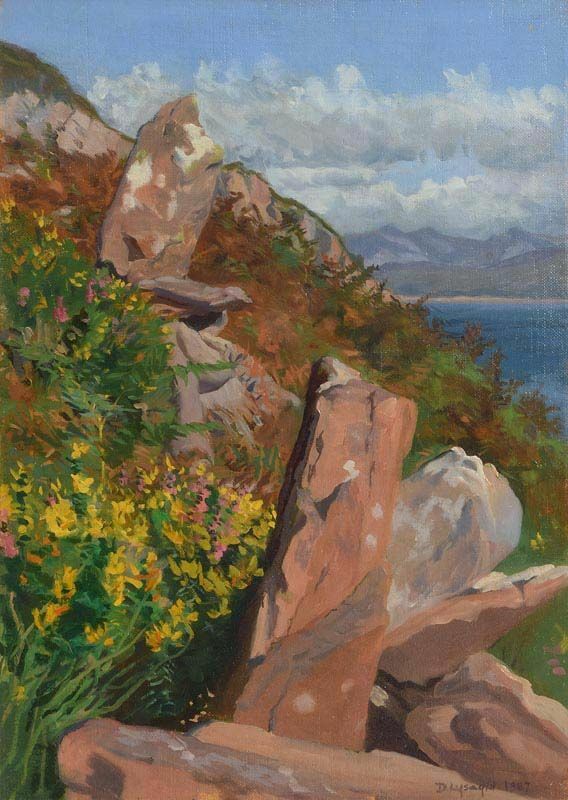 “Roundstone” limited edition print (12″ x 23″), sold at Morgan O’Driscoll’s – 14/8/2017 for €100.00. 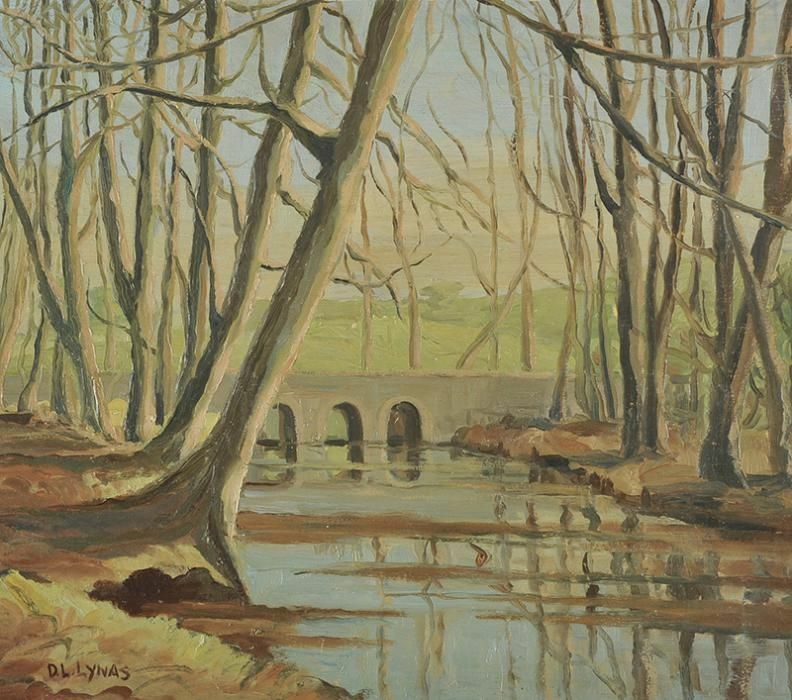 “The Old Callan Bridge” c.1945 from the Armagh County Museum collection. 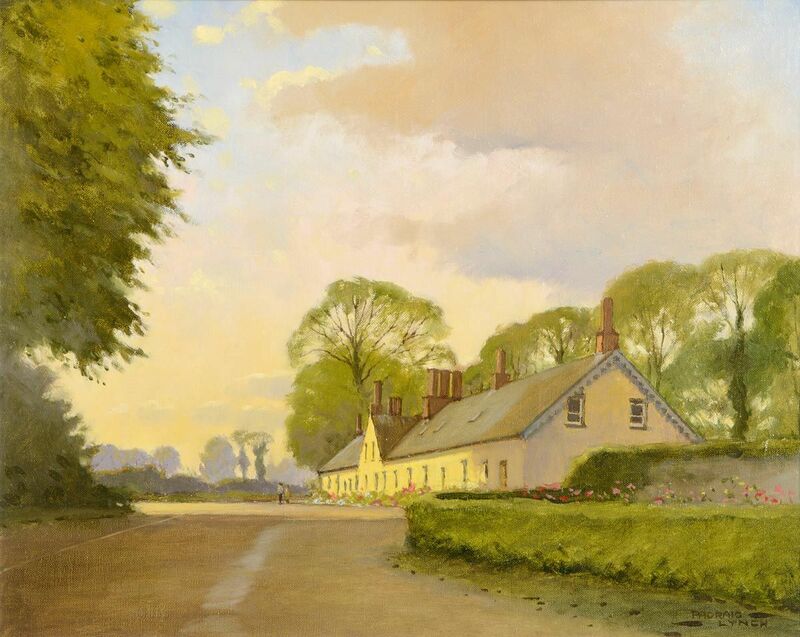 Left to right: “The locks at Edenderry , 1944” tempera on board (10.5″ x 14.5″), sold at Christies – 11/5/1996 for £85,000 and may be seen in the Irish Linen Centre and Lisburn Museum collection; and “Slievemore, 1938” oil and tempera (21.5″ x 30.5″). 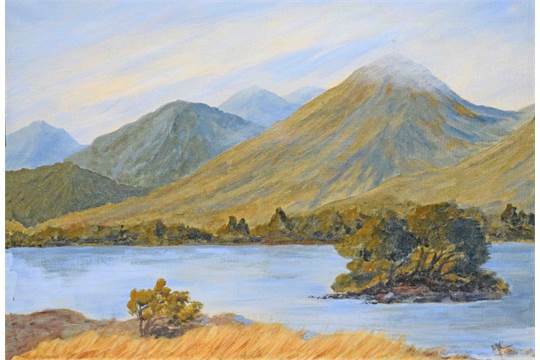 Gillian Lutton from Banbridge, Northern Ireland, began painting in 1989 and has held a series of successful exhibitions of her work since. 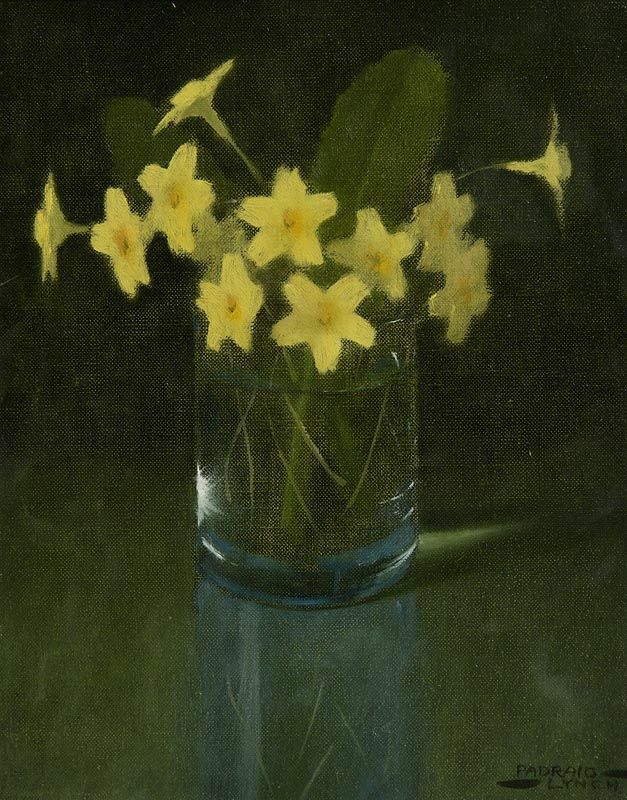 She has also exhibited at the Royal Ulster Academy and at the Ulster Museum. 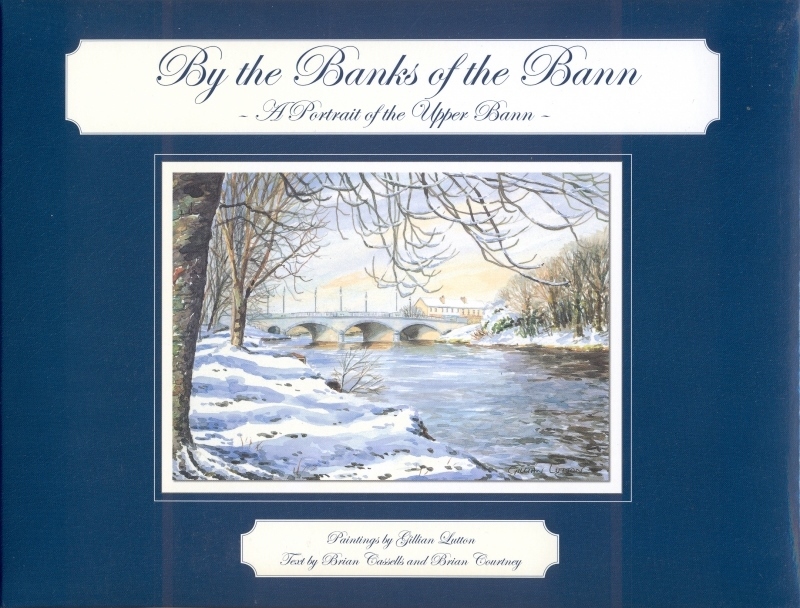 Gillian was commissioned to provide illustrations for Cottage Publications book, “Banbridge, An Illustrated History and Companion” and to illustrate the acclaimed book, “By The Banks of the Bann” and its follow up book, “My Lagan Love, A Portrait of the River Lagan“. 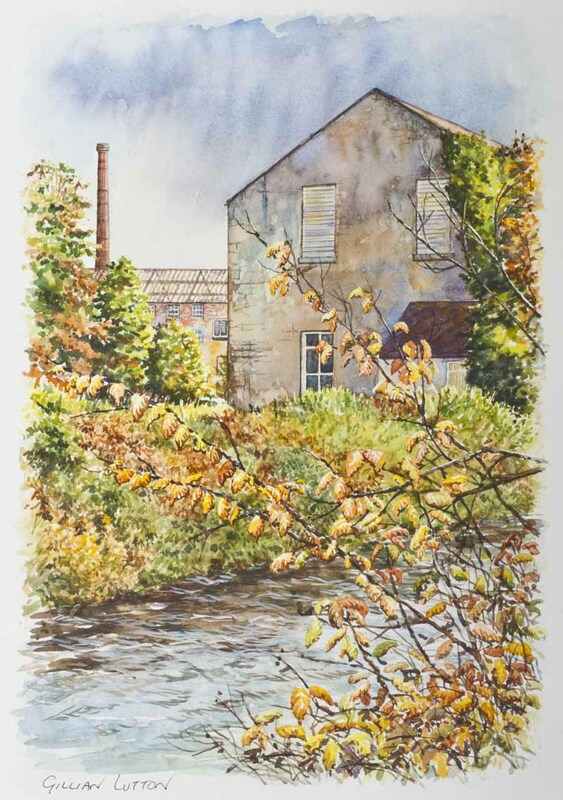 “The Old Linen Mill” watercolour (14.5″ x 10.5″), sold at Ross’s – 9/11/2011 for £40.00. 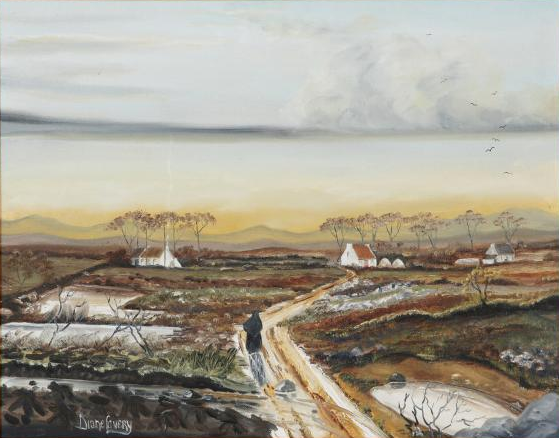 “Men of South Kerry” (47.5″ x 19.5″) oil on canvas. “Ballinasloe” dated 2014, oil on canvas (29″ x 39″), sold at Morgan O’Driscoll’s – 24/10/2016 for €900.00. 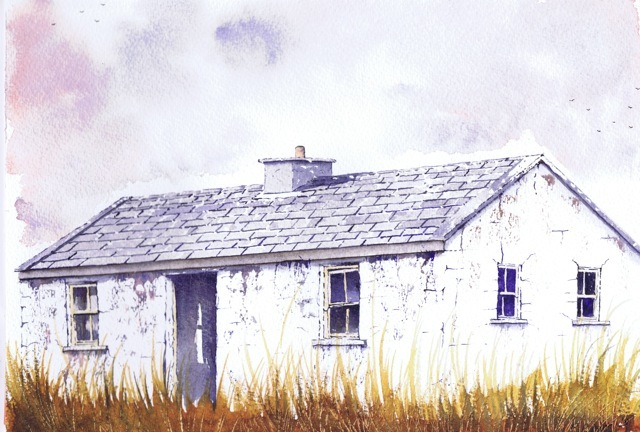 Painting exclusively in watercolour, Brendan’s work is influenced by his love of architecture and the Irish landscape. His work has featured in many books and he has exhibited nationally and internationally. 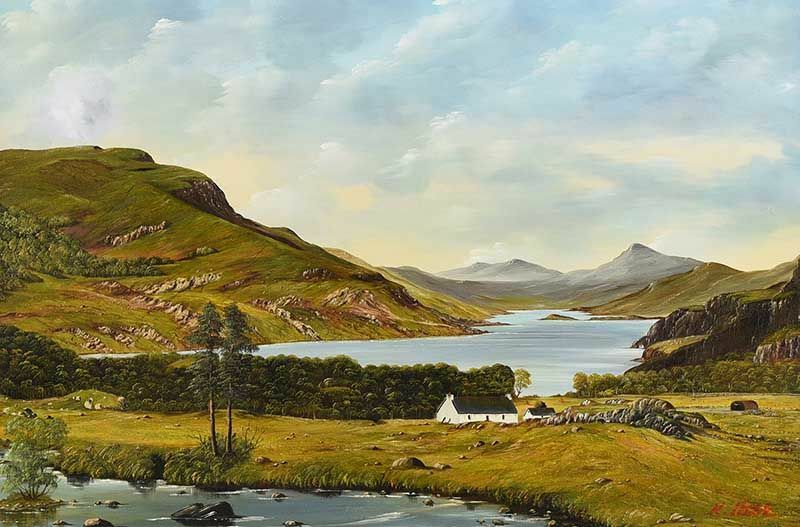 His passion for the built landscape of Ireland is reflected in his unique realistic style of painting and drawing. 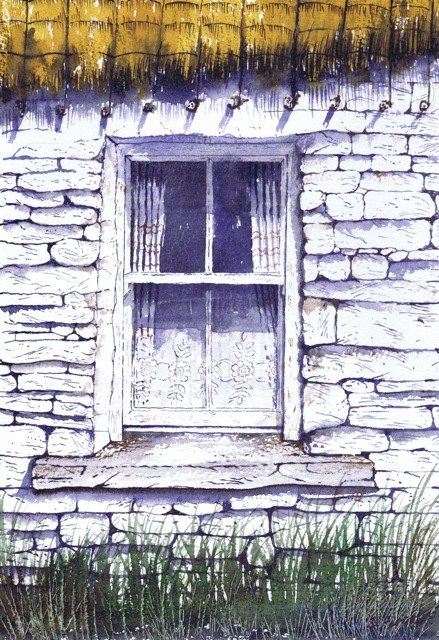 “My subjects are all around me the farmsteads, the mills, the forges, the gates the landscapes and the old shops and pubs of County Clare”. Now based in the heart of Ennistymon a town of unique character, Brendan lives and works from an 18th century listed building. 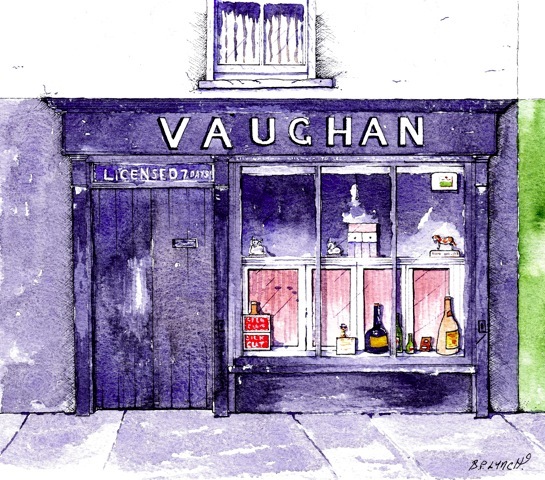 The old building has been lovingly restored and conserved and is Ireland’s only watercolour gallery and violin shop. 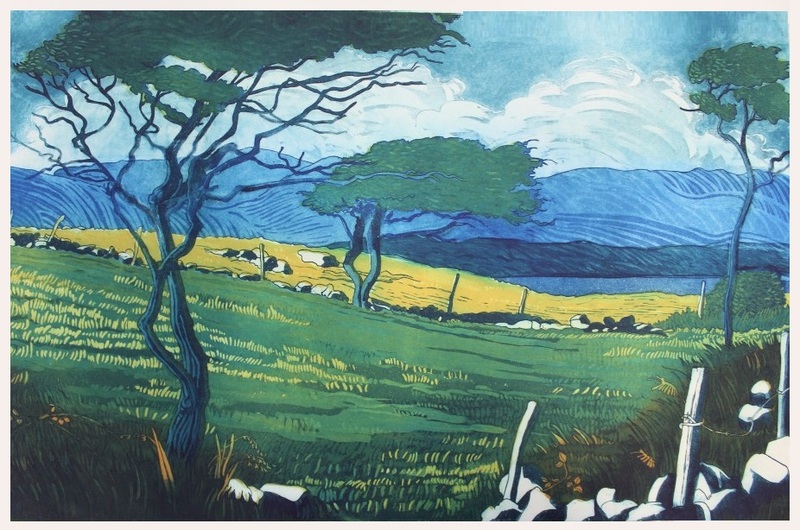 Dáire Lynch is a Dublin born artist who currently resides in Co.Mayo in the west of Ireland. My main interests are landscapes and nature. 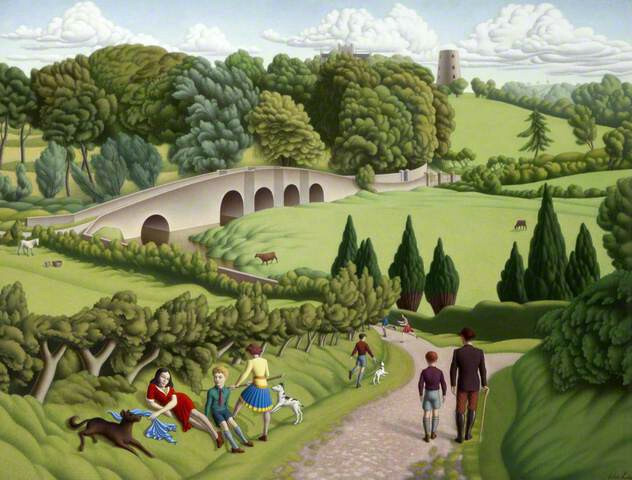 I take inspiration from walks in my local area and the countryside around me. I enjoy adding an element of contrast to my paintings which I think often adds a mood or feeling to the piece. I often visit the same scene several times to get changes in light and mood and, while I paint in a fairly realistic manner my colours tend to be influenced by how I feel, thankfully mainly happy. When I was younger I loved the work of the Pre-Raphaelites which gave me an interest in Realism. 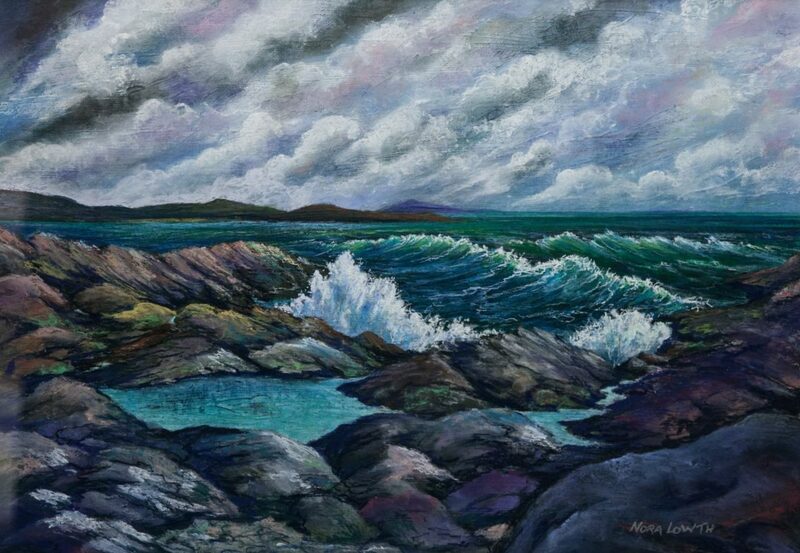 Later while travelling in Canada I became interested in the Group of Seven with their bold use of colour and subject matter. I paint things that excite me either through colour, subject or lighting. I would call myself a traditional painter with a modern edge and I work mainly in acrylic on canvas. Padraig Lynch was born in Ardee, Co. Louth. 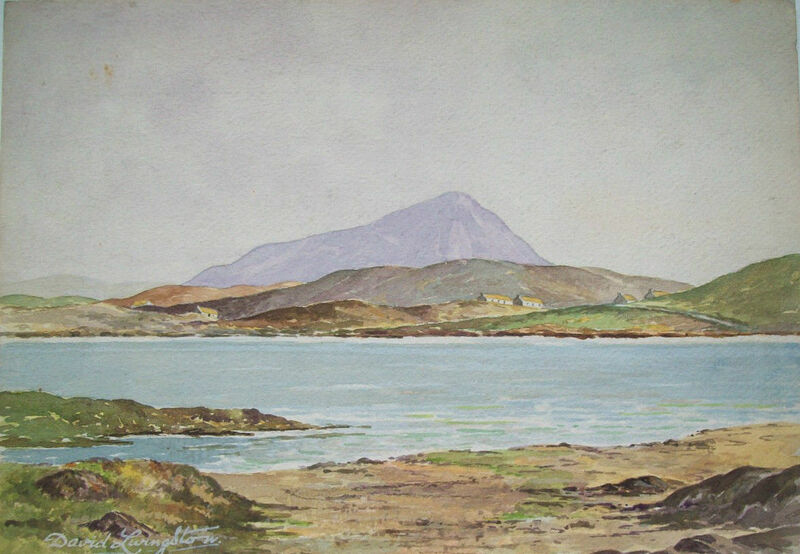 He studied under the late George Collie RHA at his studio in Dublin. He has a degree in Architecture as well as a BA in the History of Art from UCD and has also worked as a primary school teacher. 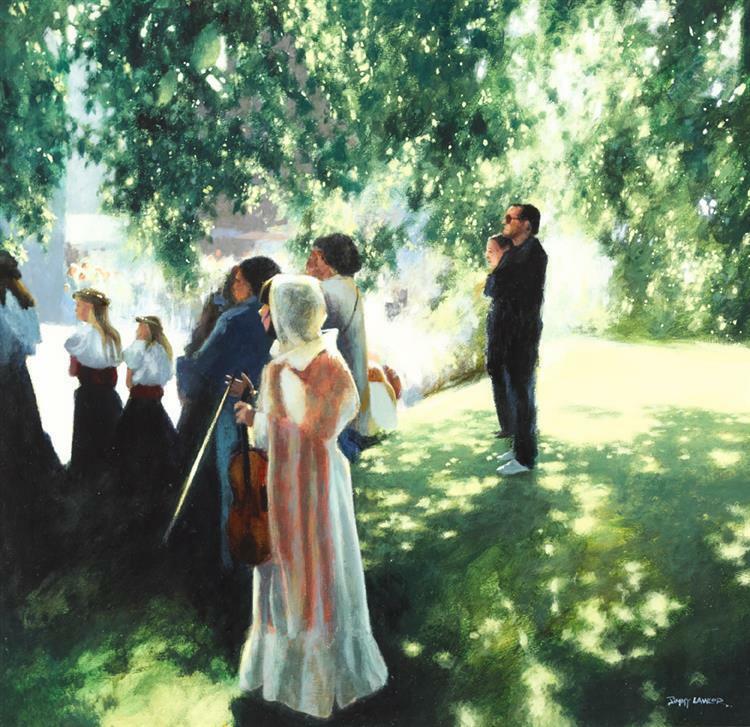 “At Ballymascanlon” (1993) oil on board. 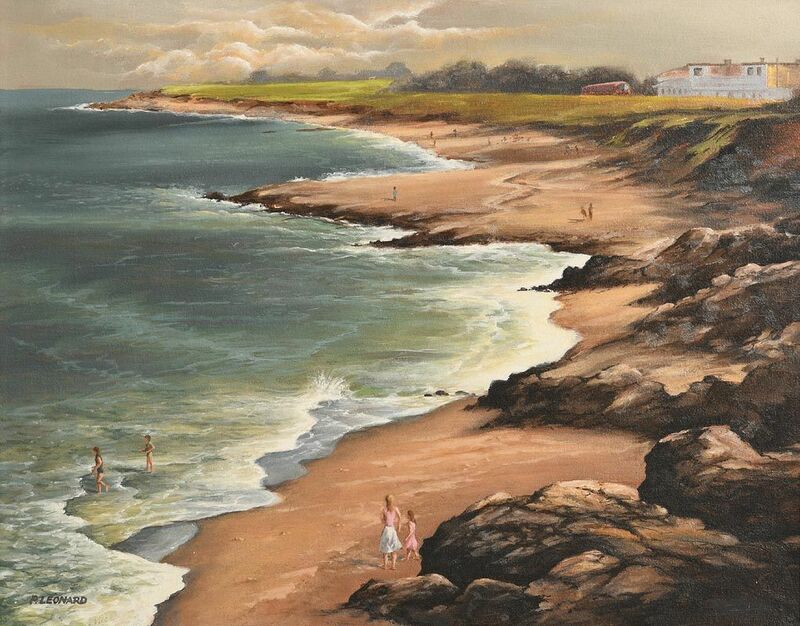 Sold at Morgan O’Driscoll’s 28/4/2014 – €275.00. Left to right: “Leafy Pool, Dunavee” oil on canvas (10″ x 12″), unsold at de Vere’s – 6/2/2017; and “Primroses” oil on board (9.5″ x 7.5″), sold at Morgan O’Driscoll’s – 14/8/2018 for €500.00. 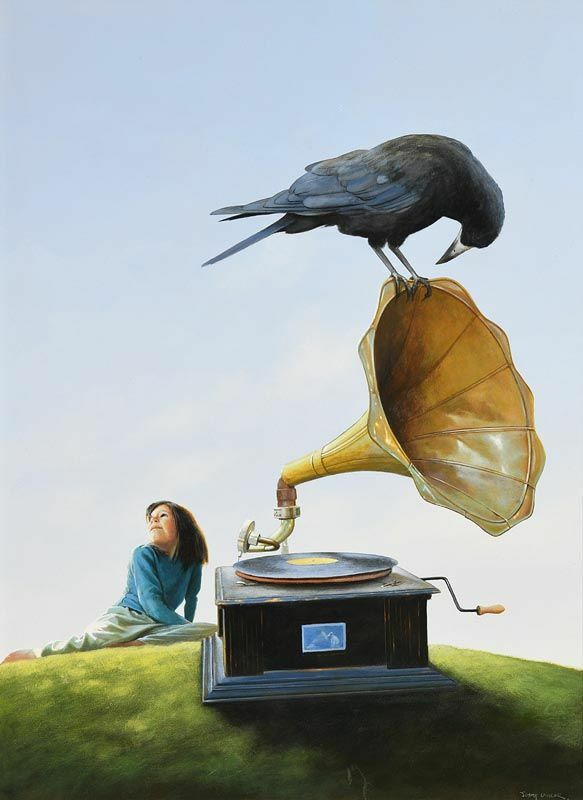 Born in Scotland, Bob Lynn studied art at the Edinburgh College of Art. Since then he has travelled, studied and worked in London and Poland. 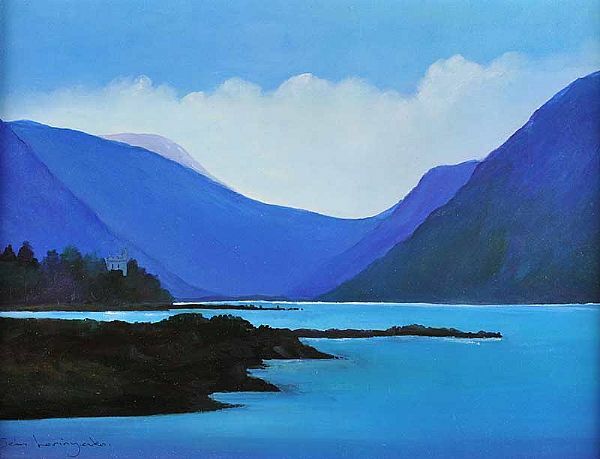 In the seventies he fell in love with Ireland and after years of commuting between London and the West of Ireland, he finally settled in Co. Wicklow permanently in 1980. Born and raised in Dublin he completed a degree in design communication in Limerick College of Art. Over the last couple of years, his work has drawn the attention of collectors and galleries. 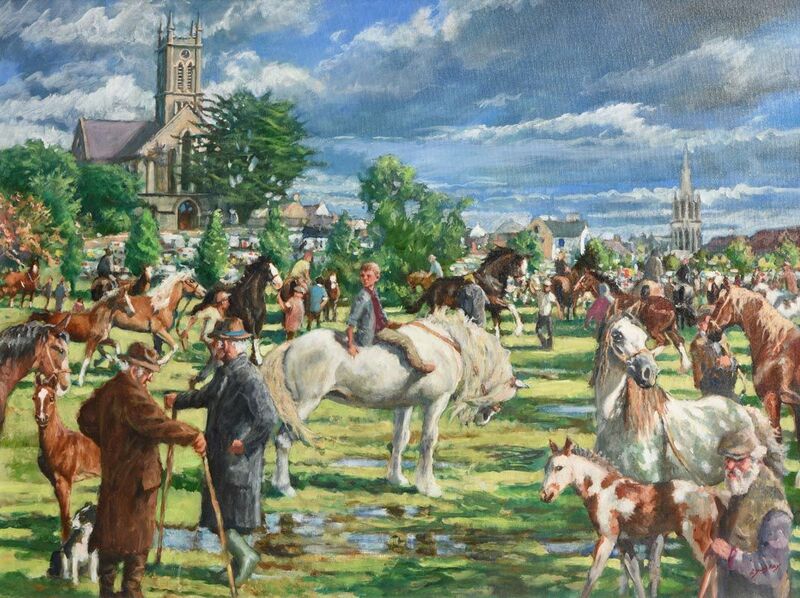 “Ballinasloe Horse Fair” oil on canvas board (24″ x 35″), unsold at Morgan O’Driscoll’s – 4/10/2016. 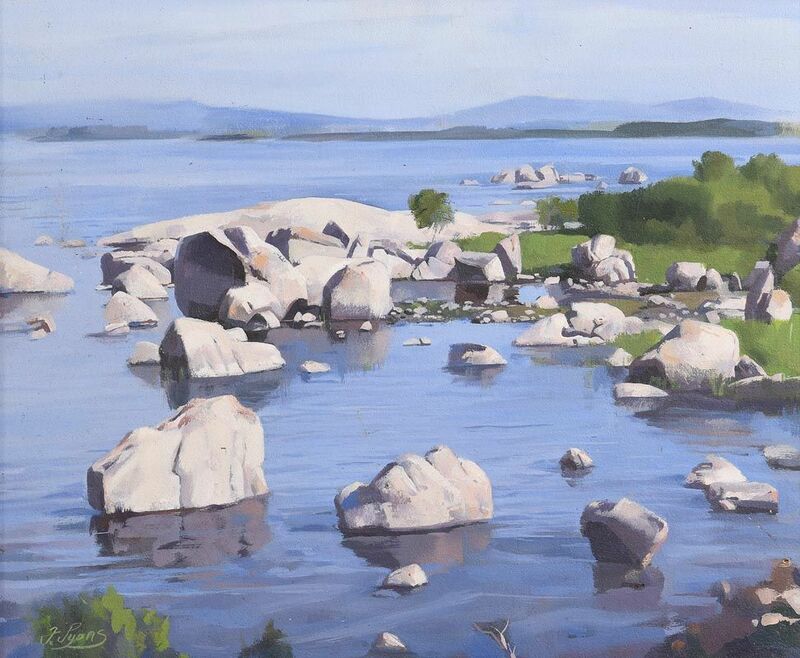 “Lough Conn Limestone” oil on canvas (20″ x 24″), unsold at Morgan O’Driscoll’s – 10/12/2018. 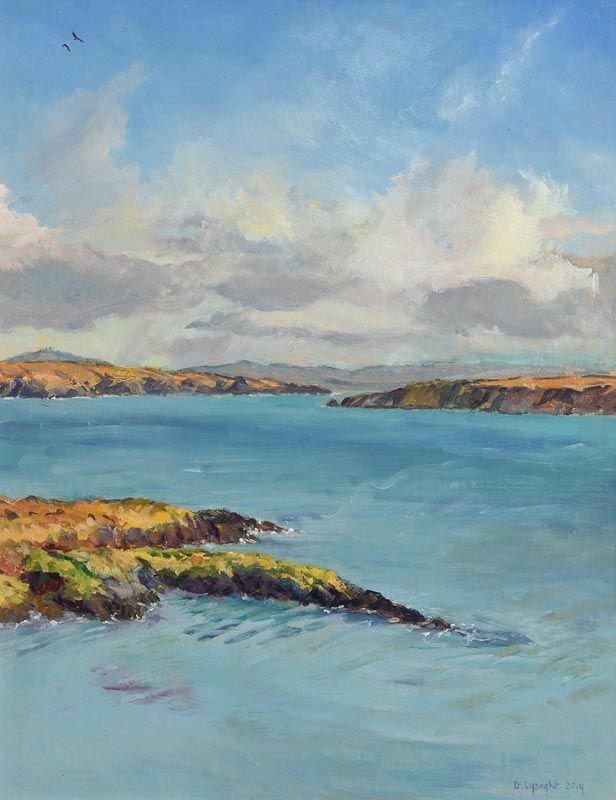 Left to right: “From Colla Pier, Schull” oil on canvas (18″ x 14″) sold at Morgan O’Driscoll’s – 2/8/2016 for €500.00; and “Minard, Co.Kerry” oil on canvas board (19″ x 14″), sold at Morgan O’Driscoll’s – 23/1/2017 for €280.00.